OWNER IS WILLING TO FINANCE YOUR LITTLE PIECE OF PARADISE FOR YOU! 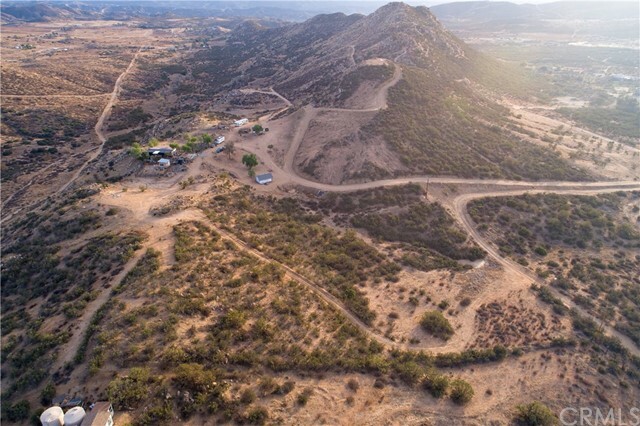 LOCATED ON THE BORDER OF TEMECULA AND HEMET, THIS 5 ACRE PARCEL SITS ON A BEAUTIFUL HILLTOP OFFERING SWEEPING PANORAMIC VIEWS OF TEMECULA VALLEY, THE SAN JACINTO MOUNTAIN RANGE, AND INCREDIBLE PALOMAR OBSERVATORY. 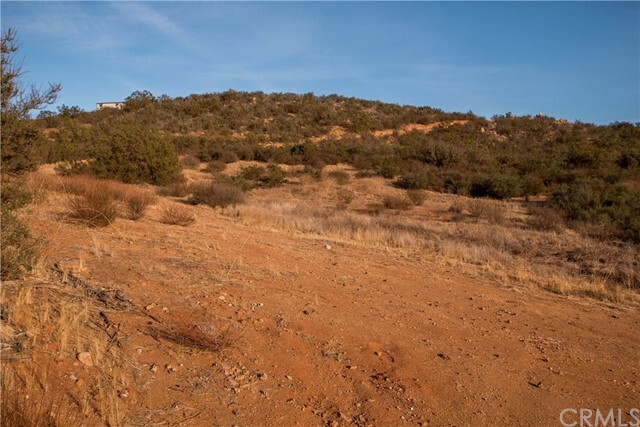 PRICED TO SELL, THIS PROPERTY FEATURES LAYERS, FLAT BASE, HILL SIDE, AND HILL TOP, TO BUILD YOUR DREAMS ON. 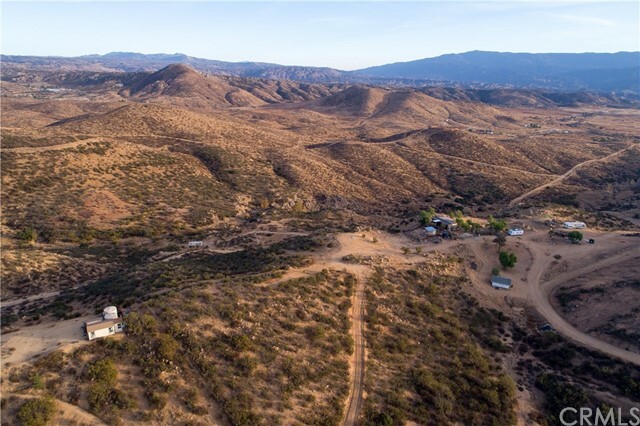 WHETHER YOU ARE INTERESTED IN PURSUING A QUIET LIFESTYLE AWAY FROM CITY LIFE, BUILDING YOUR OWN RANCH, OR CULTIVATING YOUR OWN GARDEN, THIS IS THE PERFECT SPOT! THE DRIVEWAY LEADINGS TO THE PAD AT THE TOP, WHERE YOU CAN BUILD YOUR FUTURE HOME. 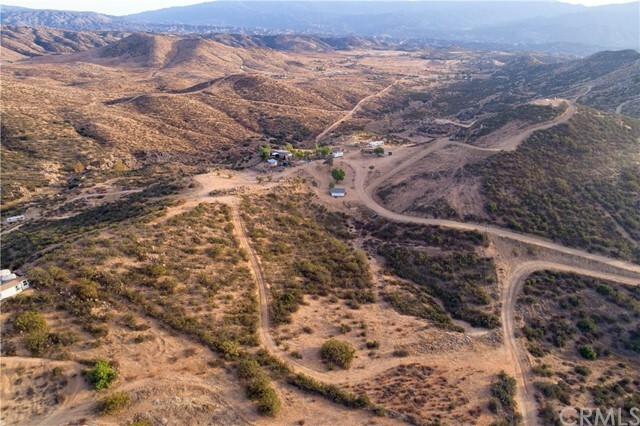 YOU WILL ALSO FIND ELECTRICITY ON THE CORNER OF THE PROPERTY WITH A FLAT AREA TO THE RIGHT OF THE DRIVEWAY PERFECT FOR A BARN, PEN OR PRIVATE GARAGE/STORAGE. THERE IS NO WELL OR WATER SOURCE ON PROPERTY, HOWEVER, NEIGHBORS CLAIM THE WATER TABLE IS GOOD. WE INVITE YOU TO SEE THIS BEAUTIFUL PIECE OF LAND IN PERSON TO APPRECIATE THE PICTURESQUE VISTA VIEWS AND NATURAL BEAUTY IN COUNTRY LIVING. 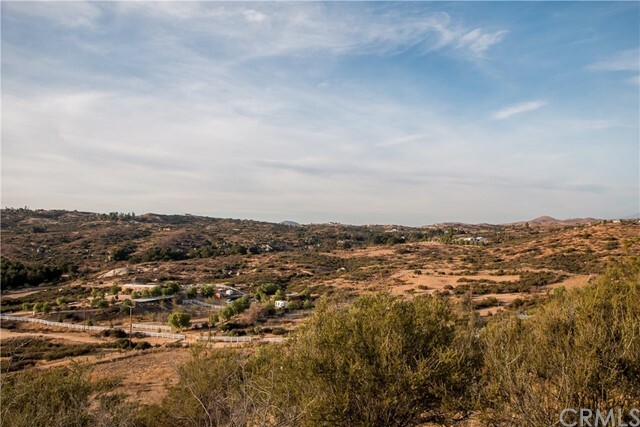 LOCATED IN PROXIMITY TO TEMECULA WINE COUNTRY, 79 S. SHOPPING CENTERS, OLD TOWN TEMECULA AND MUCH MORE, WE ARE EXCITED TO WELCOME YOU TO YOUR NEXT HOME! BUYER TO VERIFY ALL INFORMATION TO THEIR OWN SATISFACTION PRIOR TO CLOSE OF ESCROW. OWNER WILLING TO FINANCE WITH LARGE ENOUGH DEPOSIT FOR 1 - 3 YEARS. 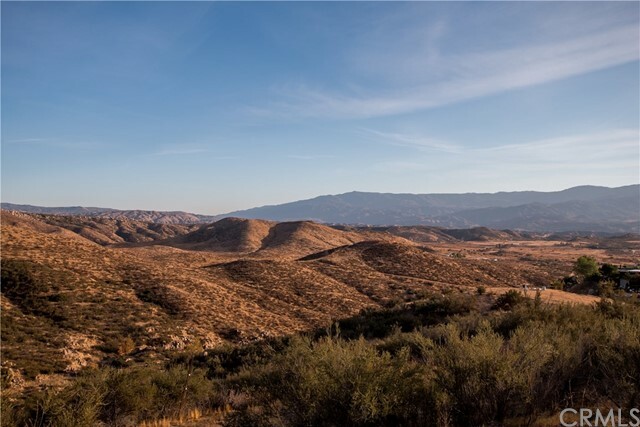 59 acres in the GROWING community of Desert Hot Springs. Ideal location with easy freeway access. In the path of development, near established businesses and surrounded by many sights under construction. Bear Creek Stunner! This beautiful single story home is situated on the 3rd hole of the Jack Nicklaus Signature Golf Course. This spacious home boasts 4,022 sq ft of living space with 4 bedrooms, 3 1/2 bathrooms, and an office. When you enter this home, you will be greeted by the grand formal living room, with elevated ceilings and an abundance of natural light. In this space, you will also find a large wet bar and a beautiful view of the outside patio area. As you enter into the family room, you are greeted by a large entertainment center and a stunning fireplace. This great room opens up to the beautiful island kitchen. The kitchen boasts granite countertops, a butlers pantry, and a large breakfast bar. There is also a breakfast nook located in front of a giant picture window that allows great views of the serene water feature and the beautiful landscape. The master retreat is a breath taking space that includes a fireplace, a private entrance to the outdoor patio, his/her walk in closets, a separate shower and soaking tub, dual sinks and vanity area, and upgraded carpet and flooring. The other 3 bedrooms are large and spacious. The office, which has lots of natural light, could easily be converted into a 5th bedroom. The front and backyard are a gorgeous retreat filled with drought tolerant plants, which are on a drip system, and a soothing water feature. This home also boast a large 3 car garage with lots of storage. Come see what Bear Creek has to offer! "The Top of Real Estate Heaven" WITH PANORAMIC STUNNING VIEWS & COMPLETE PRIVACY. Enter your private gate, head up the sprawling driveway to the main house that boasts over 3700 sq ft, 4 bedrooms, an office, 3.5 bathrooms, natural seasonal waterfall and solar (that is paid off). Upon entry you are greeted by marble flooring & an abundance of natural light, a dinning room w/ large baseboards, crown molding & arched windows. Kitchen is appointed w/white cabinetry, an abundance of counter space, VIEWS from every window and an in-kitchen dinning area. The family room & living room features crown molding, cozy fireplace & access to the outdoor entertaining area, spa & panoramic views of Del Luz. Down the hallway you find a wet bar w/sink and refrigerator. The oversized master suite is complete w/fireplace & sitting area. The master bathroom featuring dual vanities, stand up shower, deep soaking tub & walk in closet that is accessible from the bathroom & bedroom. Just outside the master bedroom sits the office w/builtin bookshelf and Herringbone wood floors. The property also features a 1900 sq ft 1-bedroom PLUS a loft guest house w/RV garage & workshop. This beautiful home sits on 15 acres with a waterfall & pond w/50 Koi, over 750 Hass & Clonal Dusa avocado trees & a variety of fruit trees. Nestled along the Santa Rosa Ecological Preserve w/views of the ocean, on a clear day. There is also a horse shed, coral & MORE. Just AMAZING VIEWS during beautiful mornings and sunsets! The home boasts 3,578 sq ft, offers 4 bedrooms, plus an office, 3 1/2 bathrooms, and an attached two garage. The property also features a separate three car garage w/workshop, RV parking with all the hook ups and a PRIVATE WELL. Upon entry you are greeted by travertine flooring and an abundance of natural light. The formal dining room features surround sound and hand troweled walls. Down the hall holds three bedrooms, all with direct access to outside and stunning panoramic views. One of the bedrooms is equipped with a walk-in closet and ensuite, that could double for a second master bedroom. On the opposite end of the dining room holds an office and powder room. Head downstairs to your gourmet kitchen with custom tile backsplash, stainless steal appliances, wine refrigerator and oversized island that opens to the family room with cozy fireplace. Head back upstairs to the movie room/game room complete with wet bar and balcony. The master bedroom is equipped crown molding, cozy fireplace, walk in closet and large bathroom with his and her sinks. As you step outside to your private hilltop oasis you will immediately see the pride of ownership. This backyard is complete with a variety of fruit trees, gazebo, oversize spa, and panoramic views. Call today for a private showing. Welcome to 37895 Rancho California Road located in beautiful Wine Country in Temecula. This newly remodeled home features new hardwood floors , new bathrooms , new kitchen. This 2.5 acre estate has it all pool and spa . Seller has taking a lot of pride and it shows it. Walking distance to Wilson Creek Winery. Come take a look this is a Must See!!!!!! Builders special. 13 1/2 acres of flat land with frontage on 3 streets. COUNTY SAYS 66 HOME SITES POSSIBLE. Prime for development. Upcoming area of East Hemet. Newer upscale homes nearby. Beautiful avocado and orange trees across the street. Location is amazing. Zone change to residential 3-6 months $5,000.00-$9,000.00- $3,648.54 deposit upon submission per riverside county. R-1 zoning allows minimum lot size of 7200 sq. ft. see attachment for details. Buyer to check with the county to verify all information and to ensure property qualifies for intended use. When only the best will do. This is a truly turnkey home offering an entertainers backyard. Enjoy walking through the custom glass front door to wide halls and hardwood floors. The downstairs bedroom is tucked away with it's own private upgraded on-suite. Crown molding and plantations shutters enhance the regal feel of this home. Enjoy cooking in your gourmet kitchen with granite counter tops, stainless appliances, and upgraded lighting. The family room is one of the largest with gas fireplace and plenty of room for any size tv your heart desires. Upstairs boast a loft with substantial size secondary bedrooms with central upgraded bath. The master suite is light and tranquil with two separate walk in closets. The master on-suite is upgraded with a soaking tub, shower and dual sinks. Entertain in your backyard sanctuary with a beautiful pebble tech salt water pool with color lights as the spa cascades over stack stone. There are three additional waterfall features into the pool. The custom Fire pit has amble seating to sit around with your family and friends. Meander around to the other side and you get to have great BBQ's with the custom island in a circular design with concrete counters so there is plenty of seating for all. This home has so much more to offer including the 3 bay car garage, half bath on main floor with oversize laundry room with lots of cabinets and sink. You truly don't want to miss this home. ~CLICK ON PROMO VIDEO LINK ON THIS PAGE~High ceilings, ceramic tile flooring, plantation shutters throughout & an abundance of natural light set the tone for the beautiful appointments within. A functional den space is located to the left of the main entry, while the formal living & dining areas are located to the right, separated by a two-sided gas fireplace. The entertainer’s kitchen is appointed with granite countertops, SS appliances, a built-in refrigerator, a walk-in pantry & a large kitchen island that opens to the family room, which is highlighted by a gas fireplace. The backyard is accessed via the sliding glass door off the dining area & offers the perfect space to entertain or relax with a spacious covered patio, a large grassy area, and a bubbling Jaccuzi. Stepping back inside you will find a butlers pantry off the kitchen featuring a wine refrigerator & storage closet, a spacious guest room with an adjacent full bathroom, a large laundry room offering access to the 3-car garage, and the main floor master bedroom which is appointed with an en-suite bathroom featuring a large soaking tub, a spacious shower, 2 vanities, plus a makeup vanity, & a walk-in closet. Making your way upstairs via the wrought iron staircase you will be welcomed by a large loft space with a balcony overlooking the backyard, 2 oversized bedrooms, & a full bathroom. Conveniently located near award winning Temecula wineries, distinguished Temecula schools, and close to shopping and dining. Sprawling Crowne Hill POOL HOME. Located on a corner lot on a quiet cul-de-sac. Beautiful curb appeal and covered entry. Interior has been freshly painted and has new carpet. Lovely arched doorways throughout. Dream kitchen has gorgeous granite counters and backsplash, stainless steel appliances, island with storage and barstool seating, plus an eating area. There's a huge walk-in pantry plus a butler's pantry has easy access to the dining room. Open to inviting family room with fireplace and surround sound topped off with a large media niche, neutral carpet & paint. Formal living & dining rooms are spacious and and have access to sit poolside. Downstairs bedroom has easy access to full bathroom and includes a mirrored walk-in closet. Relax in the stunning master suite that includes a retreat w/fireplace and crown molding. Gorgeous master bath has large jet soaker tub, separate shower w/dual heads, 2 walk-in closets, dual sinks plus a spacious vanity area. Upstairs is a huge bonus room that would make an ideal space for a game room, exercise room, etc. It has a ceiling fan and media space along with neutral carpet and paint. Enjoy your own personal oasis in the backyard featuring a pool (heated by gas) and spa, surround sound, patio with custom concrete, large grassy area, landscaping and so much more. Conveniently located to shopping, restaurants, excellent schools and bordering Temecula Valley Wine Country! Walk to park/playground. ~CLICK PROMO VIDEO LINK ~Bring your vision of a winery/tasting room or just simply make this your home for you and your horses!! A paver pathway and lush landscaping guide you inside to an inviting great room layout where the kitchen offers an eat up bar and overlooks the dining area, with built-in bench seating, and the family room, highlighted by a brick accented fireplace. Stunning views can be enjoyed from every angle and French Door access leads you to a rear paver patio with multiple seating areas accented by a fireplace where you can kick back, relax and enjoy the spectacular sunsets or breathtaking day time views. Large grassy areas highlight the patio area and provide a great place for play or the addition of a sparkling pool and vineyards. Stepping back inside, the main floor of the home additionally features the Master Bedroom with a walk-in closet, a detached Master Bathroom with a large soaking tub, and a stand-up shower, plus an office, which could be a 3rd bedroom, and the large laundry room. The spiral staircase offers access to the second floor of the home featuring a loft area and a large bedroom with attached balcony offering exterior staircase access. Making your way to the lower portion of the property you will find a 1000 square foot, 5-stall barn with an office and wash racks, an arena, plus a hay shed, a 2 stall small animal barn, a fenced pasture, 2 turn-outs and a bird aviary. 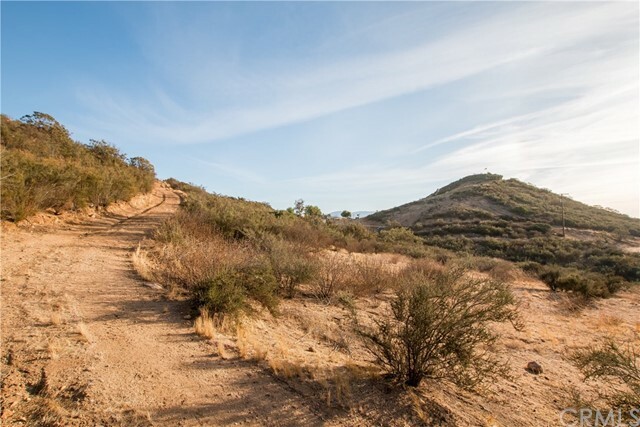 Enjoy the ease of the Santa Margarita Trail System just down the street! OMG!! DID YOU SEE THIS HUGE PRICE IMPROVEMENT?!? DON'T MISS THIS OPPORTUNITY! An abundance of natural light welcomes you from the formal sitting and dining areas which are highlighted by large windows overlooking the scenic view, wood laminate flooring, & a wood burning fireplace with marble accents. The remodeled kitchen is appointed with white cabinets, granite countertops, SS appliances, a spacious kitchen island with a built-in cooktop, amazing views & opens to the dining room and family room which are accented by a wood burning fireplace & sliding glass door access to the covered back patio. Down the hallway you’ll find the Master bedroom featuring a sliding glass door, a walk-in closet, & a beautifully remodeled master bathroom featuring dual vanities, granite countertops, travertine flooring, & a walk-in in shower. A spacious secondary room is additionally located on the main level & offers an abundance of natural light via the sliding glass door. The split-level of the home offers 2 very spacious bedrooms, a secondary bathroom with a granite countertop vanity, and a shower/tub combination, plus the laundry area with built-in storage. Stepping outside the large covered back patio offers a tranquil space to entertain & enjoy the beautiful sunrises & sunsets. On the lower portion of the property you will find generously appointed horse facilities offering 2 automatic feeders, a hay barn, tack room, a shaded paddock with turn-out and shelter, cross-ties, & a wash rack. SOLD BEFORE GOING ON MARKET! Beautiful 5 bedroom, 3.5 Bathroom home located in the highly desirable community of Terracina. Fully upgraded with a downstairs bedroom and en-suite. ~CLICK PROMO VIDEO LINK ON THIS PAGE~Enjoy views of the hot air balloon accented morning skies or entertain to a backdrop of snow capped mountains at this gorgeous Morgan Hill home!! The open floorplan lends to a well-appointed kitchen with granite counter tops, SS appliances, a custom backsplash, walk-in pantry, and an oversized kitchen island with an eat-up bar that creates a flow between the dining room and gas fire-place accented family room highlighted by panoramic windows that offer impeccable views. Stepping outside you will discover an outdoor paradise accented by beautiful landscaping, a covered patio, designated sitting areas, fruit trees, and breath-taking views. The main floor master bedroom is accented by incredible views and a spacious master bathroom featuring: dual vanities, a large soaking tub, a separate shower, and two very large walk-in closets. A large downstairs guest suite with an attached bath are located at the front of the home. The second floor offers two generously sized bedrooms, a bathroom with dual vanities, an oversized linen closet, plus a massive loft space with a balcony that offers captivating views of the Temecula Valley. Located in the Morgan Hill Community offering its residents resort like amenities including an Olympic sized swimming pool, a tot pool, fitness center, banquet facilities, sports courts, and community activities. Walking distance to distinguished Temecula schools, plus close to award winning wineries and entertainment. Welcome home to the highly sought after community of Meadowview. This Ranch style home features a private,gated entry as you enter the property. The 5-car garage is spacious and has the ability to have RV parking. As you enter the home, you are greeted with an warm, open concept floor plan. The family room is adorned with a stacked stone fireplace and opens into the well appointed kitchen. The kitchen is equipped with stainless steel appliances, Corian counter tops, and a breakfast bar. The dining room has a large Bay window that gives a wonderful view to the serene pool and spa in the backyard. Once you get upstairs, you will find the large master bedroom that includes a walk-in closet, an upgraded walk-in shower and bathroom and Plantation Shutters. There are also 2 nicely sized bedrooms upstairs and a full bathroom. The backyard provides a wonderful oasis for family time and entertaining. The Pebble Tech pool and spa allow you to enjoy the gorgeous views that this backyard offers. Also included in this backyard is an outdoor cooking area complete with a refrigerator and sink. There is also a Palapa and swing set to enjoy. One of the other unique aspects of this community and backyard, is the ability to bring horses or live stock if you choose. 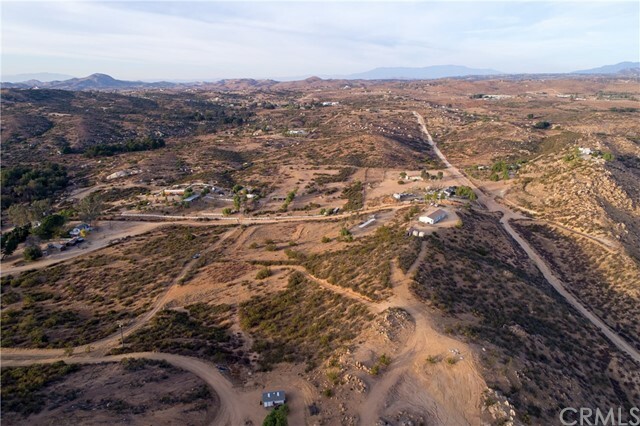 Although this home may feel secluded because of the quiet backdrop, you are only minutes to shopping, dining, top rated Temecula schools, the freeway and of course, our award winning wineries! $8000 FLOORING CREDIT! BEAUTIFUL HOME w/ an ATTACHED CASITA/GRANNY FLAT!! LOW 1.2% TAXES!! As you enter, you will notice the sprawling entry hallway that guides you throughout the main floor leading you to the formal dining area and to the family room with a warming gas fireplace that opens to the entertainer’s kitchen featuring a large kitchen island with dual height bar area, granite counter tops, stainless steel appliances, a large pantry, and access the backyard via the sliding glass door. The spacious backyard offers room for a pool (see sketch in photos), a grassy area for play, and a designated dog run. On the main floor, you will also find a spacious bedroom and a full bathroom, plus access to the Next-Gen Suite, which is the perfect accommodation for family members or long term guests and is appointed with a front patio with private entrance, a spacious living room, a kitchenette with sink, refrigerator, and microwave, plus a large bedroom with en-suite bath and access to the side yard patio. The second floor of the home is highlighted by a large loft space, the upstairs laundry room, two large secondary rooms with spacious closets, a shared bathroom with dual vanities and a shower tub combination, plus the oversized Master Suite and Master Bathroom offering dual vanities, a large soaking tub, a separate shower, and an abundant walk-in closet. Located in the Temecula School District within the GREAT OAK BOUNDARY and close to award winning Temecula Wineries. Welcome to the entertainers dream home! Saturated with gorgeous custom upgrades and stunning interior design, this home does not disappoint. As you enter you are greeted with neutral paint colors and beautiful wood laminate flooring. Gorgeous crown molding, plantain shutters, and upgraded baseboards are the perfect finishing touch to this amazing home. Sit at enjoy entertaining in your formal living area by the fire place, or around your completely custom bar featuring a polished metal bar top, wood beamed ceilings, gorgeous pendant lighting, and two refrigerators. Continue your entertaining outside where you will find the perfect spot for an outdoor dining area complete with an alumawood patio cover. No cost was spared in this stunning kitchen! Gorgeous custom wainscoting throughout, under the cabinet lighting, large tile kitchen Island, upgraded stainless steel appliances, the list goes on and on. The kitchen is open to the spacious family room which features a beautiful built in entertainment center, cozy fire place, and is wired with surround sound. Bring on the house guests! This home features two bedrooms downstairs and a completely remodeled full bathroom. Upstairs you will find a spacious master bedroom, upgraded carpet, a loft area with a beautiful built in and 3 secondary bedrooms. The garage is fully finished with brand new epoxy flooring. Equipped with a whole house fan, and smart thermostats, this home is efficient! Turnkey and ready for you to call home! NO REAR NEIGHBORS with beautiful views! Gorgeous 3 bedroom, 2.5 bath home with Loft in the prestigious St. Claire community. Beautifully upgraded throughout! Gourmet kitchen includes newer raised panel cabinets with built-in wine rack, gorgeous granite kitchen countertops with full tiled backsplash and stainless steel appliances. Gorgeous master bathroom en-suite includes granite countertops with above counter sinks and built-in vanity cabinet and walk-in tiled shower. Many upgrades throughout include travertine tiled floors, laminate wood at staircase, hallway and loft, NEW CARPET in bedrooms, custom window treatments, fireplace in great room, and NEW PAINT throughout! Private backyard comes complete with covered patio, Gas Firepit Table and Outdoor BBQ Island. No HOA and very low taxes. Minutes from I125, shopping and restaurants. THIS ONE WON’T LAST! ~CLICK PROMO VIDEO LINK ON THIS PAGE~THIS HOME DOES NOT DISAPPOINT! The white picket fence and arbor-accented paver walk way sets the tone for this charming Fallbrook home. Inside, a stone accented fireplace is the focal point of the front room and is accented by wood laminate flooring, an abundance of natural light, and views of the tree lined front yard. The entertainers kitchen is highlighted by stainless steel appliances, butcher block countertops, tile flooring, and a large kitchen island opening to the dining nook and overlooking the spacious family room featuring a stone fireplace and French Doors leading to the spacious deck. This is the perfect yard for entertaining offering a deck spanning the length of the home and opening to the sprawling backyard. The main floor additionally offers a downstairs office with two built-in desks and storage space (Possible 4th bedroom), a ¾ bathroom, and a spacious laundry room with a mop sink and single door access to the breezeway. The oversized 2-car garage offers additional space that can be used for storage or a workshop. The second floor of the home offers a secondary room, a secondary bathroom with a single vanity, and a shower/tub combination, and the stunning master suite with high ceilings, French Doors leading to a spacious balcony, a stone appointed fireplace, and Master Bathroom featuring black & white tile flooring, a large walk-in closet, dual vanities, a Jacuzzi tub, and a separate walk-in shower. Don't miss this one! !!!!! HUGE REDUCTION!!!!! This perfectly placed Craftsman inspired Ranch style Single story showcased with over 2.5 acres in most desirable Tuscany Hills Estates! Your own private paradise, right in town! Set an a beautiful, end of cul-de-sac location, featuring a privately gated entrance and prime lot that allows beautiful views out of most every window! Impressive chefs kitchen open to the family room with gas warming fireplace, and has a full bank of windows to take in the amazing views. Resort style backyard complete with finished meticulously landscaped mature trees and perfectly selected plants. Beautiful floor plan with wide open living space, with all the upgrades expected of fine living. This incredible customized home is a rare find in the highly sought after Tuscany Hills Estates! Breathtaking views in a private peaceful setting is sure to please! Must see! Beautiful easy drive, easy to show! This San Diego Estates Residence is a beauty! As you enter the home, you will find customized quality features throughout. The spacious and open kitchen is equipped with new appliances, granite counter top, brand new white cabinetry, and a butler's pantry. The large Family room is a stunner. When you look up, you will find a gorgeous coffered wood ceiling. The room is also adorned with a charming brick fireplace, new tile flooring, and neutral paint. The spacious laundry room is right off the kitchen area and is very bright and open. As you walk through the home you will see the neutral paint selected and the multiple storage areas that are available. The master suite boasts lots of room and a custom bathroom, a great retreat to start and end your days. The other 2 bedrooms are well sized and share an upgraded bathroom with new paint and tile. As you go into the backyard, you will be greeted to a gorgeous space that includes stunning views, mature landscape, and fruit trees. 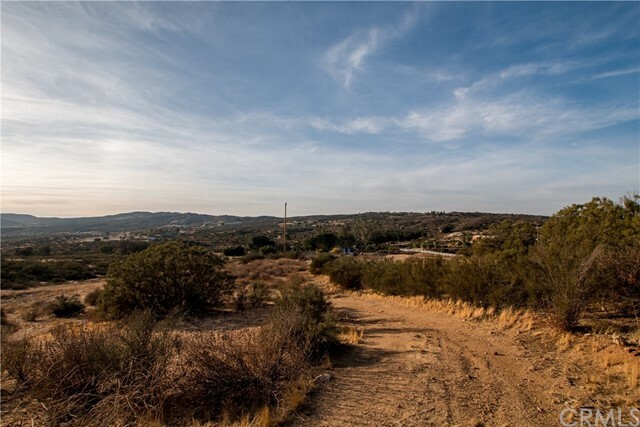 USABLE LAND to BUILD a SECOND STRUCTURE~RV PARKING~AGRICULTURAL WELL~ A French Door entry welcomes you to an open floor plan with an abundance of natural light and great views. The spacious family room is appointed by an oversized sliding glass door leading to the 74' covered patio, wood laminate flooring, a wood burning fireplace highlighted by a brick and reclaimed wood wall, and a bar with seating..... this is the perfect space to entertain with an indoor/ outdoor flow and to enjoy spectacular sunsets and the cool ocean breeze. The cozy breakfast nook is highlighted by a large window and exposed brick wall and flows into the chef’s kitchen which features granite countertops, double ovens, white cabinets, and ample counter and storage space. The main hallway of the home lends to a secondary bathroom, 2 generously sized bedrooms and the Master Bedroom, each offering wood laminate flooring, private temperature control, and large sliding glass doors that provide direct access to the backyard and covered patio. The large Master Bedroom is appointed with a spacious closet, an attached master bathroom with a stand-up shower and a sliding barn door entry. Additionally, this charming home features an extra-large laundry room, located off the kitchen, which is currently doubling as an in-home salon and offers access to the 2-car garage. Sitting on 1.16 acres, plus located just minutes from the beach, and offering gorgeous views and sunsets this is a home that you don’t want to miss! This beautiful Murrieta Oaks home is situated on a spacious corner lot, on a cul-de-sac street. This home features 3,962 sq. ft. of living space, 5 bedrooms, 4 bathrooms, and an oversized loft upstairs. A huge bonus to this floor plan is that there is a full bedroom and bathroom on the main level, which makes it perfect as a mother-in-law suite or dedicated guest room. As you enter the home you will be greeted to the open concept floorplan. Once inside you will notice all the wonderful upgrades of the home which include 2 fireplaces, hardwood and tile flooring, crown moulding and plantation shutters. The kitchen is a chefs delight! It is well appointed with white wood cabinetry, granite countertops, stainless steel appliances, butlers pantry, double ovens, and an abundance of counter space. The kitchen opens up to the large family room, which makes it ideal for entertaining guests or being close to your family while preparing meals. The family room is an ideal retreat with the fireplace, hardwood flooring and surround sound speakers. The dining room is a stunner with French doors that open to the backyard. The backyard is landscaped and ready for your backyard entertaining complete with your own putting green! The upstairs has 4 bedrooms, including a master retreat with a fireplace. The master suite features a beautiful bathroom complete with his and her sinks, a soaking tub, and separate closets. Not only does this home have great curb appeal, there is no HOA! ~CLICK PROMO VIDEO LINK ON THIS PAGE~GREAT OAK HS BOUNDARIES~You will be greeted by marble flooring that spans throughout the main floor of the home and the formal sitting and dining areas highlighted by wood shutters and an abundance of natural light, as you enter. Adjacent to the formal areas are a spacious main floor bedroom and a half bathroom. The kitchen features granite countertops, SS appliances, a built-in workspace, a large kitchen island, and flows to the in-kitchen dining area and the family room which is highlighted by a gas fireplace and a large sliding glass door. The low maintenance backyard is appointed with hardscape and accented with stack stone columns, decorative lighting, and a built in BBQ island. On the second floor you will be welcomed by a Juliet balcony, three spacious secondary rooms, a large loft space, a bathroom featuring dual vanities, and the Master Suite which offers a foyer entryway with a staircase leading to the second story Master Bedroom loft space. The main floor of the Master Bedroom offers an oversized bedroom with high ceilings and the attached Master Bathroom which features beautiful tile accents, a stand-up shower with dual shower heads, a jetted tub, dual vanities, his and her walk-in closets, and a designated sitting area. 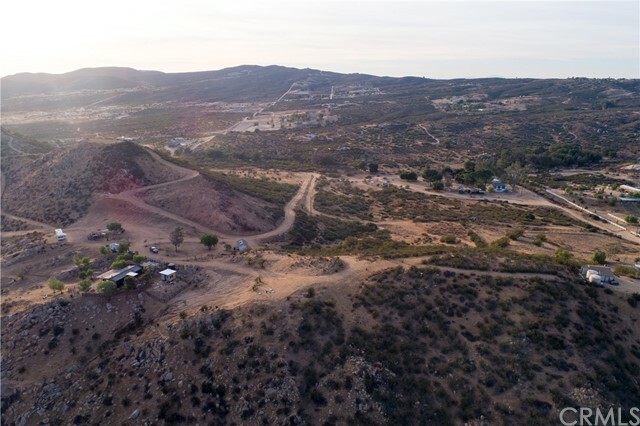 The third floor of the home offers an additional bedroom with an attached full bathroom and a private loft area which offers spectacular views of the morning sunrises and hot air balloon filled Temecula skies. * SPECTACULAR POOL HOME * RV PARKING FULL HOOK UPS * DETACHED CASITA WITH PRIVATE ENTRY * LARGE LOT * SOLAR save on electric bills * A rare opportunity exists to own a 6 bedroom (main home) PLUS a detached casita featuring a private entry, bedroom, sitting area, bathroom & closet! Casita is approx 600 sq ft Casita IS permitted. The main home features a total of 6 rooms & 4 bathrooms. This homes unique floor plan features TWO rooms downstairs one of the rooms is an office currently used as a home gym the other is a bedroom. One full bathroom & 1/2 bathroom for guests conveniently located downstairs. Four spacious bedrooms & two bathrooms are located upstairs. Master bedroom features a private balcony. Additional features of the home include a whole house fan, all LED lights throughout the home & alarm / fire monitoring system. The home opens into a generous size great room. The SPACIOUS kitchen features a reverse osmosis system, new garbage disposal, new Bosch dishwasher, large walk in pantry, double oven & microwave. The backyard is an intrinsic part of the overall design of this home. Enjoy your POOL WITH WATER SLIDE & WATER FALL. Pool has been refinished featuring a dual speed pool pump & LED pool & spa lights. Both the front & backyard feature a drip system. Each plant has its own dripper. Low voltage LED yard uplighting. The exterior & interior of the home have been painted. The garage features a wall to seperate the work bench area. This home HAS IT ALL !!! Welcome home to 32312 Mountain Bluet Court in Morningstar Ranch!! This 5 bedroom, 3 bath, pool home offers over 3100 square feet with a 10,000 square foot lot, RV parking and is nestled in a quiet culdesac! On the first floor, you are greeted by tile floors, a spacious formal living and dining room, an open kitchen with granite counter tops and stainless steel appliances, a bedroom and a full bathroom. Upstairs, the bedrooms are spacious and natural light shines through every room. The master bedroom offers dual sinks with a large soaking tub and separate shower as well as a large walk-in closet. Don’t forget the perfect entertainers backyard with an in-ground pool, spa, beautiful landscaping and artificial grass! SINGLE STORY~3 BEDROOM/3 BATHROOM~3-CAR GARAGE~OWNED SOLAR**CLICK LINK ON THIS PAGE TO WATCH PROMO VIDEO**Welcome Home to 39129 Crown Ranch Road! As you enter, high ceilings, wood vinyl flooring, and shutters throughout sets the tone for the beautiful appointments within. The main entry hall lends access to the two spacious front bedrooms appointed with large closets, a shared full bathroom with dual vanities and a shower tub combination, and opens to the designer kitchen featuring granite countertops, white shaker cabinets, SS appliances, a walk-in pantry, and an oversized island with eat-up bar seating that opens to the family room and dining area. The entertainers backyard offers a space that delights, with a large covered patio, a built-in BBQ and smoker, a stone-accented gas fire pit with built-in bench seating, a large grassy space for play, and a beach-inspired lounge area. Back inside you will additionally find the large laundry room, a powder bathroom, access to the 3-car garage, and the spacious master bedroom offering two walk-in closets, the master bathroom which is appointed by custom barn door access, a large soaking tub, dual vanities, and a stand-up shower. Located in the Gated Roripaugh Ranch Community which offers resort like amenities to it’s residents including a beautiful clubhouse with a fitness center, sparkling pool & spa, tennis and basketball courts plus conveniently located near shopping, dining, entertainment, & the award-winning Temecula Wineries. Attractive, well maintained 2-story single family home. 5 bedroom, 4.5 bath, fully equipped open kitchen with granite counter tops and family room with fireplace. Large master bedroom on second floor with en suite including soaking tub, separate shower and separate his/her vanities and walk-in closet. One bedroom on first floor with en suite. Fully landscaped lot including stamped patio in back yard plus 3-car attached garage. A Spectacular Floor Plan and an Entertainers Backyard! Step through the doors to your new home and take in this Amazing Large Open Floor Plan. Your oversized Dining, Living Room combo features large picture windows, Provenza wood flooring and 9 foot ceilings for that grand feel. The Gourmet Kitchen is equipped with dark cabinetry, stainless steal appliances, butlers pantry and an oversized island that opens to the family room complete with cozy fireplace. Just off the Family room sits the Master Suite with high angle ceilings and en-suite that is adorned with custom tile, double sinks, glass encased shower and deep soaking tub. The Master also features a sliding door that leads to your quiet backyard complete with covered BBQ island, bar top and fire pit with seating area. Downstairs also holds the Laundry room with extra storage and an oversized bedroom and full bath with stand up shower for that out of town guest. Head up stairs to your large bonus room which makes a great place to gather and play games or just watch movies as a family. Down the hall holds a built-in desk, two more spacious bedrooms and a shared bathroom. 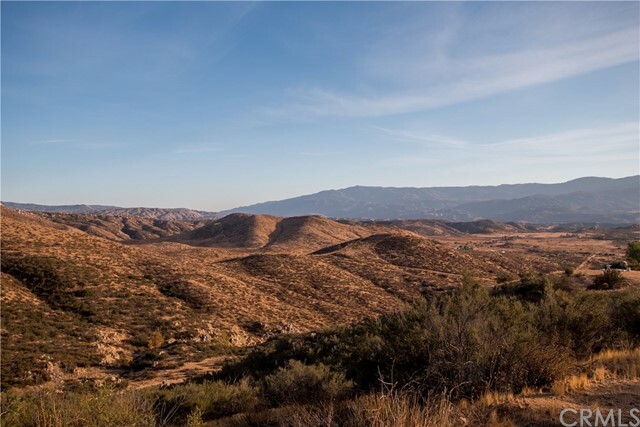 Murrieta Oaks community is located in the gentle rolling hills of Murrieta just west of the 215 and minutes away from the 15 freeway. The community also offers two private parks, walking trails and is walking distance to Antelope Hills Elementary. Call today for a private showing. As you enter you are greeted by dark wood flooring and custom paint throughout. Your oversized Dining Room / Living Room combo features large picture windows with views of the hills. The Gourmet Kitchen is equipped w/honey wood cabinetry, stainless steal appliances, oversized island and built-in desk, which makes it the perfect place for the kids to sit and do their homework. The sliding glass door provides direct access to the back yard w/patio and stunning views. Just off the kitchen sits your family room w/cozy fireplace and designer berber carpet. Downstairs also features a full bedroom and bathroom for that out of town guest. Head upstairs and you will notice a large open bonus room and built-in bookshelf for that touch of elegance. The Master suite boasts high angle ceilings and an en-suite w/tile flooring, double sinks, glass encased shower and deep soaking tub. The master also features french doors that lead you out to your private balcony. Just down the hall sits your laundry room w/extra cabinetry and mop sink. There are also two secondary bedrooms equally as spacious w/mirrored wardrobe doors and a shared bathroom. This home is nestled at the end of a quiet cul-de-sac with views from every window. 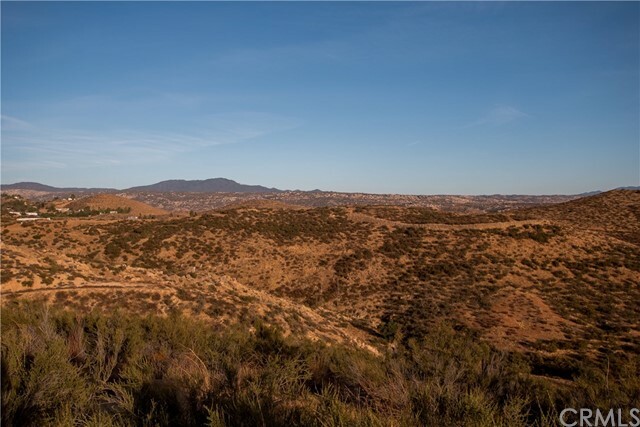 Located in the gentle rolling hills of Murrieta just west of the 215 and minutes away from the 15 freeway. This Guard gated community offers a charming clubhouse, pool, kids pool, spas, and a variety of parks and basketball courts. Call today for a private showing. Welcome home to this beautiful two-story, single family residential home located in French Valley! This amazing home has 5 bedrooms with a main floor bedroom, 3 bathrooms and 3,258 square feet on a 7,450 square foot lot in a cul-de-sac! This home also has a 3-car tandem garage with an extended driveway. Enter the home to see a private, closed off living room and open dining room! You will also see the garage, main floor full bathroom and a main floor bedroom that can be used as an office or in-law suite. As you continue, you will find the big and spacious family room with a fireplace that opens to the gorgeous kitchen with granite counter tops, island and walk-in pantry. As you go to the second floor, you will see the large, open loft. Next door, you will find the laundry room with vinyl flooring. The master bedroom and bathroom has to be seen to be believed with it's large space and large walk-in closet. The master bathroom has dual sink counter tops and separate tub and shower. You will also find the additional 3 bedrooms and 1 bathroom that are also spacious and roomy. The backyard has concrete throughout for easy maintenance, along with long side yards and both vinyl fencing and concrete blocks. Low HOA and quiet neighborhood makes this the perfect home for you! 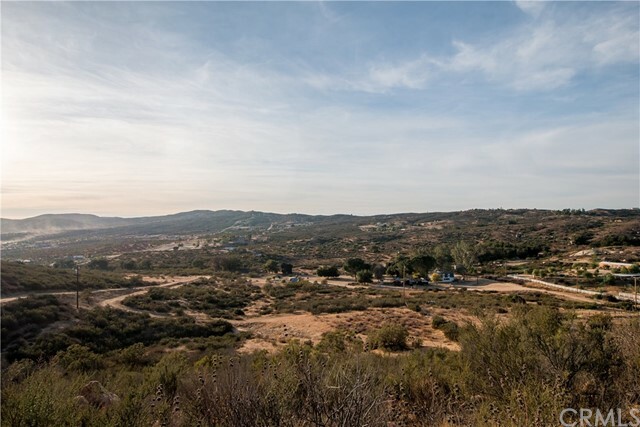 Welcome home to this beautiful SINGLE STORY home in Central Murrieta with the most AMAZING VIEWS!! This four bedroom (plus a den) and two and a half bath home has an open and airy feel to the extra tall ceilings. As you enter the home you are greeted by a front living room and dining area. Through the wide hallway you come to the open kitchen with a huge center island with breakfast bar, white cabinets with modern hardware, designer granite countertops and backsplash, stainless steel appliances, and space for a dining table. The kitchen overlooks the large family room featuring a fireplace with custom tile surround. From the kitchen area you can enter the backyard with a brand new covered patio with stamped concrete, ceiling fan, drought tolerant landscaping, and gorgeous views to have great BBQ’s with family and friends. Back inside you will find the master bedroom with attached master bath featuring dual sinks, separate shower and tub, and walk in closet. The remaining three bedrooms share a hallway bath and all bathrooms have upgraded granite countertops. The entire inside of the home is painted with neutral colors and has designer European Oak Laminate Wood Floors throughout. The home has NO HOA and is located close to parks, shopping, and restaurants making for an ideal location for a family or commuter. Don’t miss out on the opportunity to live in his beautiful home that is ready for you to move in and start making new family memories! Here is your golden opportunity to own a single story home with three bedrooms plus a large office located in the premiere neighborhood of Vintage Reserve. Close to award winning schools, shopping and entertainment. Enter the home through the private entry courtyard with lush tropical plants and water fountain. The perfect place to relax with a morning cup of coffee or unwind at the end of the day. Home has been tastefully upgraded with easy-care flooring, granite kitchen counters, plantation shutters and tile in the bathrooms. There is a split 3-car garage, patio cover in the backyard and custom landscaping. The master suite offers a large bedroom and the bath has dual sinks and separate tub and shower. There is a dog run area on the side of the home and it is large enough to store the toys. No HOA fees. Move-in ready. GORGEOUS HOME BUILT IN 2005! A car/boat/motorcycle owner's dream! Nearly 1800 sq. ft. of living space is built over a 1,282 sq. ft. garage! The single level home has an open floor plan featuring 11-foot ceilings, crown molding, recessed lighting and bamboo look laminate wood flooring. The kitchen has wood cabinets, granite counters, a breakfast bar island and stainless steel appliances, including a dishwasher, microwave and a propane (gas) burning stove. The master bedroom has east-facing views and access to the wrap-around porch. The master bathroom has a bathtub and a separate shower enclosure, two sinks, a private toilet and a huge walk-in closet. The second bedroom has mirrored closet doors and a view of the west side patio. The third bedroom has been converted to a den/office with a custom-built natural stone fireplace hearth, remote controlled electric "fireplace" and a built-in flat screen TV. The living room and dining area flow together near the kitchen, making this home ideal for entertaining. A wrap-around porch offers panoramic views with the east facing side providing ample shade. On the west side, there is a beautifully landscaped and hardscaped patio with a barbecue island and a refrigerator. The golf cart garage is accessible from the patio. Above the patio, behind the home, is an additional parking pad. The 47.5' x 27' garage has 15-foot ceilings, allowing for a lift, plus a half bathroom, a work bench and cabinets. Enjoy resort-like living in Canyon Lake! Welcome home to 18776 Ravenwood Drive! A lushly landscaped front yard, gated driveway access, and a covered front patio set the tone for the lovely appointments within. Walking through the double door entryway an abundance of natural light, wood laminate flooring, and an open floorplan create the perfect living space. Off the main entry, to the left, you will find a spacious flex space that is perfect for a den or a playroom and to the right you will find the formal dining room which is highlighted by large windows overlooking the spacious front yard. The family room is complimented by a brick accented fireplace and flows into dining area and entertainers kitchen which features: granite countertops, white cabinets, a custom backsplash, and eat up bar seating. Stepping into the tranquil backyard you will discover a beautifully landscaped setting that features: a covered patio, a fire pit, a grassy area for play, gardening boxes, and a converted barn with unlimited potential use. Back inside, down the hallway, there are two spacious secondary rooms, and a secondary bathroom with a single vanity, a shower/tub combination, and outdoor access. The master bedroom features a walk in closet, French door access to the backyard, and an attached Master Bathroom featuring dual vanities and great natural light. Located in the City Perris, offering easy access to March Air Force Base, the 215, plus shopping, dining, and entertainment, this is a home that you don’t want to miss! Welcome to this stunning, highly upgraded single story home in the prestigious 55+ gated community of The Colony. This home boasts INCREDIBLE upgrades, meticulously maintained and overlooks the rolling 70 par golf course designed by renowned architect David Rainville. As you enter, the living room boasts lovely niches and beautiful tile flooring. Continue into a chef’s kitchen with custom refrigerator, granite countertops, beautifully tiled backsplash, dual ovens, and Insta-hot water! The open concept kitchen, dining and family room are perfect for hosting! The family room showcases a gorgeous granite fireplace with access to the backyard, perfect for enjoying the spectacular golf course views! All bedrooms have hardwood floors, vaulted ceilings, and lovely natural light. Master bath is a DREAM featuring granite countertops with white vessel sinks, custom granite tile garden tub and wheel chair accessible shower. The guest bath is breathtaking with custom cabinetry, vessel sink, scalloped granite wall tile and wheel chair accessible shower. Laundry room offers a built-in sink with upper and lower cabinetry and accessibility to the 2 car garage with even more storage! Water filtration system, new AC unit, and PAID FOR SOLAR make this a one-of-a-kind home! The Colony offers a newly remodeled clubhouse, pool, spas, exercise room, library, billiards, tennis, 24-hour security, guarded gate and MUCH more! LOW TAXES and HOA waters and maintains front yard. This home will NOT LAST! Welcome home to this exceptional and upgraded pool/spa/view, 3 bedroom, two and a half bath home located in the desirable Paseo del Sol on a private culdesac. The elevated lot overlooks the adjacent park. Open concept main level boasts vaulted ceilings, lots of windows, gorgeous hardwood and travertine flooring, neutral colors, and a gas fireplace. The gourmet kitchen, featuring Quartz countertops, glass tile backsplash, and SS appliances, makes this a chef's dream! Enjoy sunset views from the master suite which also includes a walk in closet with built in storage. Upstairs laundry room with cabinets make doing laundry a snap. Ultimate convenience and relaxation with low maintenance yard care that includes a gorgeous pool and spa overlooking views of the park. A covered patio cover with custom roll down shade offers tranquility and privacy in this gorgeous backyard. Private lot with only one immediate neighbor. Walk to Abby Reinke Elementary School, two clubhouses, featuring pool/spa and exercise room, tot lots, sports courts, walking trails, and parks. Close to Gold Ribbon Schools, Temecula Middle School and Temecula Valley High. Shopping, restaurants, Temecula Wine Country and Pechanga Resort & Casino are all a close drive. Welcome home to 37577 Early Ln. This stunning home features 4 beds, 3 baths and an oversized loft. The property sits on a 10,000 sqft private lot, with no rear neighbors and over 3100 sqft of living space. As you enter the home you are greeted by 20 ft ceilings, an open floor plan, an abundance of natural light, wood laminate flooring, high baseboards and upgraded paint. The entryway leads the way into the formal living and dining areas boasting large windows, custom window treatments. Off the dining room is the upgraded kitchen featuring granite counters, white cabinets, walk-in pantry and kitchen island. The family room is open from the kitchen and is accented by a gas fireplace, large windows and a sliding glass door leading the way to the huge entertainers backyard. Also on the first floor is a bedroom, with upgraded carpet, bathroom featuring granite counters and stand up shower with glass doors and large laundry room. Up the stairway on the 2nd floor are two large secondary bedrooms, with a full bathroom featuring a bath shower combo which is connected to the loft area. The master bedroom boasts large windows, high ceilings, wood laminate flooring, with room for a sitting area. The master bath features two closets, upgraded tile flooring, dual vanity, large soaking tub and stand-up shower. 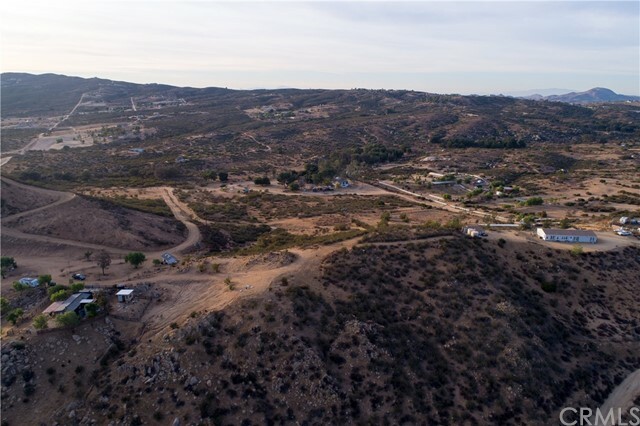 Located in the Murrieta school district, close to shopping, and only minutes away from the Temecula wineries this is a home you don’t want to miss!!! 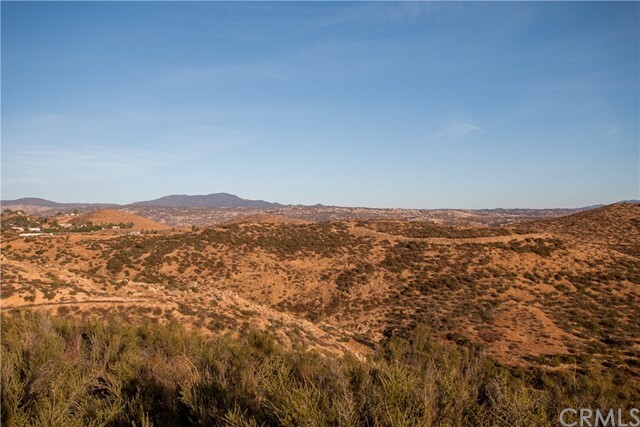 Welcome to the HIGHLY DESIREABLE community of Mahogany Hills in Murrieta! Built in 2016, this beautifully upgraded home has been meticulously cared for by its owners. This 2,606 s.f., 2 story home is a popular 3 bed/3bath floor plan featuring carpet, engineered wood flooring and white plantation shutters throughout. The entryway gives access to the entire home! You can visit the private bedroom and full bathroom immediately on the right OR venture upstairs to loft, 3rd bedroom and full bathroom OR walk into the open-concept common area adjacent to master suite. Downstairs is perfect for entertaining! The expansive kitchen offers white cabinetry, HUGE 5 seater island, new stainless steel appliances, double door pantry, endless hot water (with a tank less water heater) and lots of granite counter space. The dining and living room boast incredible natural light and upgraded double-slider access to an intimate covered patio with canned lighting and low maintenance backyard. Next to the living room is the large master bedroom and ensuite with dual vanities, glass shower, deep soaking tub and oversized walk-in closet. This friendly neighborhood is ideal for families, professionals and retirees. Located in the distinguished Murrieta School District, minutes to parks, fantastic shopping and I-215. This home is nothing short of fine living with too many upgrades to list! Must see to appreciate! Welcome home to 30060 Vacation Drive in the gorgeous lake community of Canyon Lake! This turnkey single story home features 3 bedrooms, 2 bathrooms and over 2100 square feet of living space. As you enter the home you will notice brand new flooring throughout the home, including laminate in the kitchen and main areas and plush carpet in the bedrooms. The kitchen was recently upgraded with beautiful granite counters, custom tile backsplash, white cabinetry, and elegant new lighting. The kitchen opens to the large living area, which features a woodburning fireplace and allows access to the outdoor patio via the sliding glass door. Down the hallway, you will find the three bedrooms and bathrooms. Both guest rooms are very large in size and have an abundance of natural light. The guest bathroom was recently remodeled with new vanity, matching granite and beautiful tile work in the bathtub and shower. The oversized master suite features new carpet, a walk-in closet and a brand new master bathroom complete with new vanity, matching granite, new toilet, and a walk-in tile shower. This home is equipped for lake life with gated boat or RV Parking, and an additional carport! Residing on a well-known corner lot in this active community, you have prime seats to the annual parades and fireworks show! Hurry, this infamous home won't be on the market long! Welcome home to 41771 Davidson Street!! Located in the Kenton Place Community this home offers over 2200 square feet, 4 bedroom, and 3 bathrooms!! A perfectly manicured front yard with artificial turf and steps leading to the front patio sets the tone for this charming Murrieta home. Stepping inside, a tile entryway leads the way to the oversized family room featuring a gas fireplace, large windows overlooking the backyard, the dining area appointed by a glass slider and the open kitchen offering a spacious kitchen island, white cabinets, a roomy pantry space, and access to the 2-car garage. The POOL-SIZED entertainer’s backyard is delightfully appointed with artificial turf, a large patio, and offers plenty of space to play or just relax and enjoy! Additionally on the main floor a spacious bedroom and full bathroom are conveniently located off the front entry hallway. A large loft area greats you on the second floor and offers a great space for an upstairs play area or den. Down the hallway there are two large secondary rooms, a spacious bathroom with dual vanities and a separate shower area, an upstairs laundry room, and a huge Master Suite appointed by a large walk-in closet, a spacious Master Bathroom with dual vanities, a soaking tub, and a separate stand up shower. Conveniently located in West Murrieta near shopping, dining, and entertainment, plus offering access to distinguished Murrieta schools, this is a home that you don’t want to miss. *** PAID OFF SOLAR PANELS, LOW HOA*** Welcome to Dutch Village! This two story home is located in the Brindisi Development of French Valley. It features a generous 2,873 sq. Ft. of living space with 5 bedrooms, 2.5 baths and 2 car garage. As you enter this home you will notice an open floor plan. Downstairs includes formal living and dining rooms, family room, newly remodeled kitchen, granite counter tops, stainless steel appliances. Also downstairs is a bedroom to make your own. Upstairs you will find a large loft, 4 bedrooms, 2 bathrooms. You will notice new Inside paint throughout, new baseboards, and new window blinds, and new garage door. 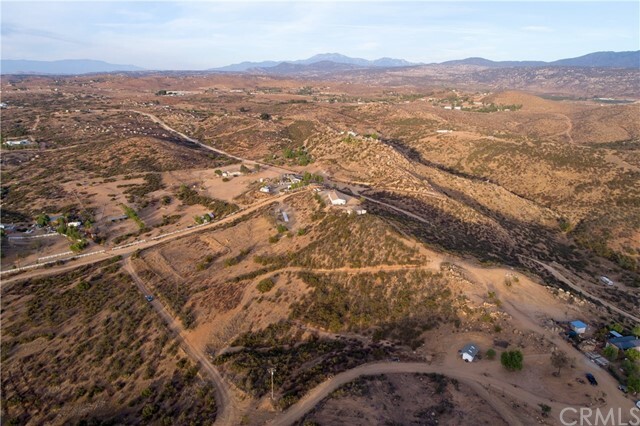 Minutes away from Lake Skinner, Temecula Wineries, Parks, shopping, Temecula School District!! WOW!! A "MUST SEE" BEAUTIFUL & PRISTINE SINGLE STORY home features open floor plan with GORGEOUS faux wood plank flooring throughout; upgraded tile flooring in bathrooms & laundry room. SPACIOUS GOURMET KITCHEN to include double ovens, 5 burner stove top, butler's alcove (between kitchen & dinning area), granite counter tops, maple cabinetry, HUGE island & storage GALORE! Family room features a cozy gas log fireplace, alcove entertainment center, & stylish crown molding. TWO MASTER bedrooms w/ attached baths that includes double sinks; the larger master features separate shower & tub, large walk-in closet, & enclosed water closet. Separate laundry room w/ plenty of storage leads to a clean 2 car garage. RELAX & enjoy a delightful afternoon under an ALUMA wood patio cover, w/ ceiling fan, overlooking a pretty (low maintenance) landscaped backyard. Experience the notorious SCGA public 18 HOLE GOLF COURSE just a few blocks away (renamed to "The Golf Club at Rancho California"); take pleasure in breakfast or lunch at the cafe w/ a view of the golf course. Enjoy nearby abundant dinning, entertainment, & shopping! Visit this SMARTLY designed home soon, and make it yours! Beautiful one-story home in a 55+ community at The Colony Golf & Country Club, 24-hour Security Guard, provides all the amenities of active lifestyles; community pool, club house, golf course with cafe, beauty salon, pro-shop, and a calendar of events for your entertainment. Centrally located in Murrieta. The home features brand new wood flooring in the main living/dining room, new upgraded carpet in all bedrooms, and room for the golf cart or extra storage. Double front doors welcome you into a large foyer. A Master bedroom suite providing sliding doors takes you to the covered patio. The other 2 bedrooms offer a quiet reprieve for guests, a den, or home office. Welcome home to 27460 Finale Court, one of the most beautiful single story homes in Menifee! This home features unmatched curb appeal with a 3 car garage nestled on a large lot in the perfect neighborhood. Located on a quiet cul-de-sac, this home boast 4 bedrooms, 2 bathrooms, solar, plus 2470 square feet of living space. As you enter the home you are greeted with an abundance of natural light, arched doorways, high ceilings, and custom tile flooring. The large, open family room features large windows overlooking the beautiful backyard, a roaring gas fireplace, and 5 speaker surround sound. The chef’s kitchen is appointed with stainless steel appliances, upgraded granite counters, a brand new sink, and dishwasher plus an oversized island! As you walk through the home you will find three spacious bedrooms equipped with ceiling fans and plantation shutters. The stunning master suite features tall ceilings, brand new upgraded carpet and custom paint. The master bath is highlighted by a spacious dual vanity, an oversized glass shower with rainfall showerhead and large his and her closets equipped with build in cabinetry. The sizable backyard is perfect for entertaining with a large well manicured yard, a California patio, and no rear neighbors. Don't miss out on this gorgeous, turn-key home! **CLICK ON LINK ON THIS PAGE TO WATCH THE PROMO VIDEO**STUNNING VIEWS!!! LOCATION, LOCATION, LOCATION!!! 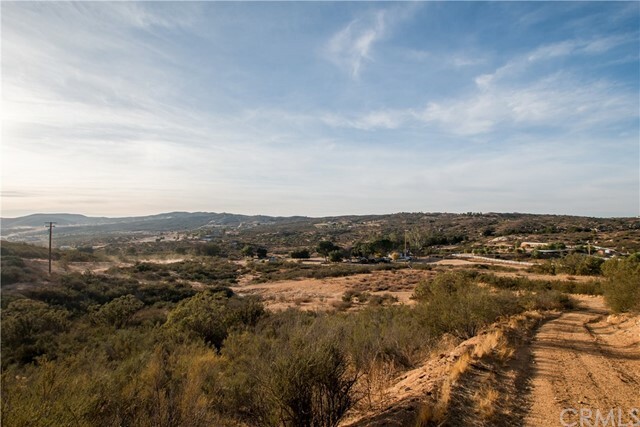 COME BUILD YOUR DREAM HOME ON THIS GREAT FALLBROOK HOMESITE!! Surrounding by gorgeous estates and minutes to the Pala Mesa Golf Course and Freeway access. 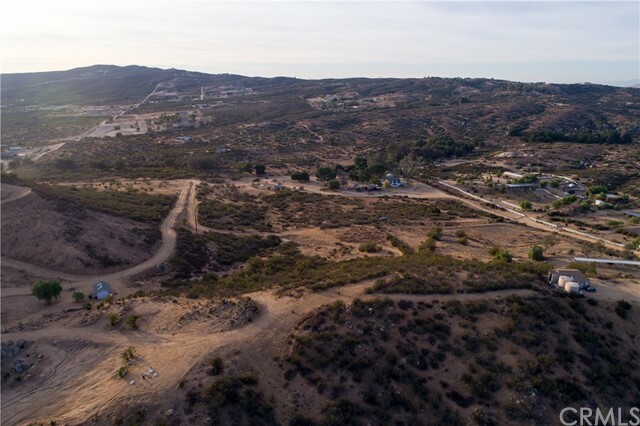 This partially graded parcel offers stunning views and just under 7.5 acres, plus paved access to the property, utilities at the street, and a 2in water main installed on property... this is the perfect site to build your FOREVER HOME!! Bring your dreams and your imagination and lets get building!! 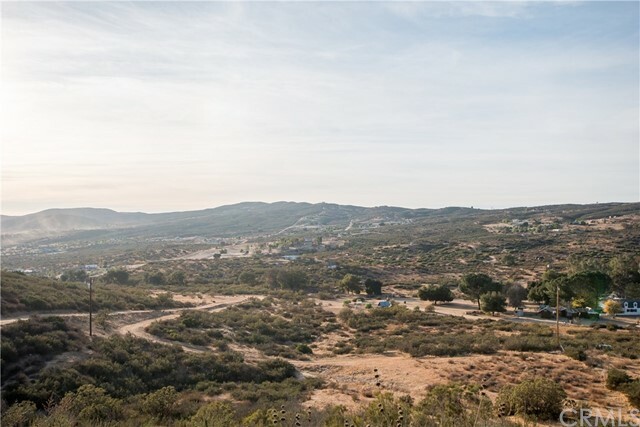 Single story homes rarely come available in this area of Paloma Del Sol. Located in the heart of Temecula. This single story home has high ceilings and plenty of space! Landscaped and beautifully maintained front yard. The entrance has a double door entry opens into the large living room and dining room combo with high vaulted ceiling. The dining room offers a custom built in cabinets with display glass. The cozy family room is adjacent to the large kitchen with lots of counter space and additional eating nook area. Built in roll outs in the pantry and lower cabinets. The fireplace adds to the charm and warmth of this home. Dulal covered patios. One is off the family room and the other is off the master bedroom. This keeps the areas dry when it rains. Bedrooms all have high ceilings. Secondary bath has dual sinks with tub/shower combo. The large Master suite has access to the covered backyard patio. Master bath has separate tub and shower with dual sinks and walk in closet. Large three car finished garage gives you lots of space! Solid wall in back of home and white vinyl fencing on one side. Low assessments! Temecula Unified School District. Close to amenities and freeway. Enjoy living the good life! Incredible opportunity to own a single level home in the highly sought after Mapleton community with low tax rate, no HOA dues and fully paid for solar to eliminate your electric bill, and one of the most upgraded homes you'll find. All these features for this price makes this home an amazing value. Back yard paradise with multiple, connected pergola style and solid peaked patio covers with power, and ceiling fans. Back yard fire pit, outdoor kitchen and mature tropical landscape. Inside, a great, open floor plan with crown molding and hard wood flooring throughout. Formal dining room adjacent to the family room with 5:1 surround sound, stacked stone fireplace and a back of wall of windows to view your private back yard paradise. Family room is open to the eating area and kitchen with granite counters, elegant full tile backsplash, pantry cabinets and stainless steel appliances. One wing of the home has an office/game room and 2 large bedrooms which share a bathroom. Separated from the office and bedrooms, a well appointed master suite with hardwood floors, spacious walk in closet and a luxury 5 piece master bath. Located close to parks, schools, new shopping center and easy freeway access for commuters. Welcome home to this highly upgraded 1,684 sq. ft. two-story located in the gorgeous Harveston lake community! This 3 bedroom, 2.5 bathroom charmer boasts incredible natural light, crown molding, custom paint, wood flooring downstairs and is a short walk to Harveston Lake & Community Center! As you walk in on your right, is a lovely wooden staircase with a convenient coat closet. Pass by the stairs and half bathroom, you will find the main living room, dining room and entertainers kitchen on the left. The kitchen boasts white cabinetry, stainless steel appliances, granite countertops and a 4-seater island. The private courtyard is a beautiful space to be with friends and family! Upstairs, the large master suite is on the left. The master bathroom features a walk-in closet, shower and soaking tub with tile flooring. On the right, the hallway leads to the 2nd full bathroom, laundry room, 2nd and 3rd bedrooms. This home is all about LOCATION and PROXIMITY to amenities including a 17-acre fishing lake and park, 19-acre sports park, paddle boat rentals, miles of walking paths, pavilions, picnic areas, gorgeous clubhouse with Jr. Olympic-size swimming pool, spa, splash park, playgrounds and more! This community has it ALL! This home is also located in the award-winning Temecula School District and close to shopping centers, Temecula Promenade Mall, Edwards Theatre and easy access to the 15 & 215 freeways. Don’t wait another minute, this will not last! ~CLICK PROMO VIDEO LINK ON THIS PAGE~SINGLE STORY~3-CAR GARAGE~CORNER LOT~ OWNED SOLAR~ Welcome home to 34620 Low Bench Street!! Located in the Mahogany Hills Community this home boasts over 2300 square feet offering 3 bedrooms plus a den (could be 4th Bedroom), and 2 full bathrooms. High ceilings and a grand entry hallway sets the tone for the impressive open floorplan with the expansive family room open to the dining area and kitchen. The designer kitchen is appointed with white cabinets, granite countertops, a spacious pantry, black appliances, and a large kitchen island with eat-up bar seating. The well-appointed backyard is easily accessible off the dining area and features a stamped concrete patio with a large area for play. In the spacious master bedroom you will find great views of the backyard, an attached master bathroom offering dual vanities, a relaxing soaking tub, a separate stand up shower, and a large walk-in closet. Down the hallways off the main entry hall you’ll find 2 spacious secondary rooms, a flex-space that can easily be converted to a 4th bedroom, a spacious secondary bathroom with dual vanities and a separate shower/tub combination, plus the large laundry room. Located in the Mahogany Hills Community, offering a LOW HOA, and close to shopping, dining, and entertainment, this is a home that you don’t want to miss! Schedule your private tour today! Cul-de-sac lot. LOW HOA dues. Near Highway 79, this home provides easy access to the 15 and 215 freeways and all the recreation, entertainment, shopping and new community living that Temecula Valley has to offer. A single story home feature an open floor plan with a centralized kitchen with island and open living area with dining area on either side, making it the perfect place to catch up on the day's events as well as entertain your guests. The master bedroom is separated from secondary bedrooms to create privacy, and boasts a luxurious bathroom with dual sinks, separate shower and a soaking tub. Every Beazer home is built to ENERGY STAR standards, is tested, and receives an individual ENERGY STAR certification. Note: Photos are of model, not of actual home. Listing for homesite 79. Welcome home to this fantastic, highly upgraded 3 bedroom, 2.5 bathroom charmer located in the heart of Murrieta! This 2 story 1,591 sq. ft. home has been meticulously cared for and features NEW paint, carpet, and handscraped hickory hardwood floors with energy efficient windows… and if that wasn’t enough the downstairs offers crown molding and white plantation shutters! The beautiful kitchen has been upgraded with NEW custom wood cabinetry accented with bronze hardware, granite countertops, tile flooring and stainless steel. The backyard offers NEW aluminum covering, luscious landscaping and oversized patio. The downstairs offers an informal and formal living and dining room, kitchen, and half bath with access to the NEWLY insulated 2 car garage and utility room. Upstairs, is the master bed/bath, 2 additional bedrooms, full bathroom and hallway storage. The Master bedroom offers incredible natural light and 2 spacious his and her mirrored closets. The Master bath is a DREAM—boasting NEW antique tile flooring, custom cabinetry, granite countertops and an incredible custom, frameless glass shower! WOW! This home is located in the distinguished Murrieta School District with close proximity to the famous Cal Oaks Sports Park, multiple shopping centers and both the 15 & 215 freeways. There is NO HOA and LOW TAXES! You must see this home in person to truly appreciate it! Don’t miss it! Welcome home to this 1,360 square foot CHARMER in the popular, family friendly community of Paloma del Sol located in the heart of Temecula! This home features 3 bedrooms, 2 bathrooms and offers a lovely floor plan boasting natural light, vaulted ceilings and wonderful backyard with a built-in corner sitting area. As you enter, you walk through the main family room featuring laminate wood flooring and sweet niches. The main focal point is the fireplace separating the formal living room from the open concept kitchen, dining and main family room. The family room features builtins for your entertainment center and a sunny accent wall with vaulted ceilings that make the room feel bright and spacious.The kitchen offers granite countertops, stainless steel appliances, tiled backsplash and center island. Next to the dining area is the patio door, which opens to a private and well landscaped backyard with large patio and built-in corner seating! The side yard features a large shed and newer Lennox 18 seer AC unit (Wow!) that will certainly keep you cool during those hot summer days! The master bathroom offers a CUSTOM travertine shower, HEATED tile floors, dual sinks and large closet! Paloma del Sol offers INCREDIBLE amenities: 5 community pools and spas, basketball courts, 3 tennis courts, tot lots, BBQ areas throughout, 5 miles of walking trails & MORE! Located in the prestigious Temecula School district, minutes to GREAT shopping and I-15 freeway. Welcome home to 31874 Calle Ballentine in the HIGHLY-DESIREABLE commuity of Paloma del Sol in the HEART of Temecula! This highly upgraded 1,383 square foot, 2 story home features 3 bedrooms & 2.5 bathrooms. When you enter, you are greeted by a lovely great room with lots of natural light, NEW fireplace and formal dining room with patio access to the backyard, featuring new white fencing, nice landscaping and oversized patio with upgraded stamped concrete. There are no rear neighbors and the home overlooks a community pool—far enough from the noise, but close enough for you to enjoy during summertime! Downstairs has also been upgraded with NEW paint, light fixtures, baseboards and beautiful hand scraped hardwood floors! Also downstairs is the highly upgraded kitchen, half bath, laundry room and access to the spacious 2 car garage. The kitchen features custom wood cabinetry, quartz countertops, tile backsplash and stainless steel appliances. Upstairs, the master bedroom features a ceiling fan and beautiful views and the master bath boasts a garden tub, dual sinks, and walk-in closet. Upstairs also has hallway storage, a 2nd full bath and 2nd and 3rd bedroom. Paloma del Sol offers INCREDIBLE amenities: 6 community pools, basketball courts, 3 tennis courts, tot lots, BBQ areas throughout, 5 miles of walking trails & MORE! Located in the prestigious Temecula School District, minutes to GREAT shopping and I-15. LOW HOA & LOW taxes! This is the home you have been waiting for! This Canyon Hills home is nestled on a quiet cul-de-sac with a large yard and stunning views of the hillside! This lovely 4 bedroom, 3 baths home offers an open floor plan with one bedroom and full bath downstairs, great for guests or an office. The spacious kitchen is equipped with granite countertops, black appliances, dark cabinetry and beautiful custom backsplash. The living room is warm and inviting with large picture window, ceiling fan and views of the back yard. The laundry room is located upstairs for added convenience along with two additional bedrooms, a shared bathroom and the Master Suite which includes double sinks, separate shower, deep soaking tub and large walk in closet. Step outside to your back yard with the covered patio and duel ceiling fans. On those chilly nights gather the family around the fire pit to roast marshmallows and enjoy the views. The backyard also features large mature palm tress and a variety of fruit trees. The home is also equipped with Solar system, energy efficient canned lighting, and interior fire sprinkler system. This exciting award winning community offers sports park, splash pad, pools, playgrounds, tennis courts, hiking trails, BBQ areas and more. Home is within walking distance of Herk Bouris Elementary School and is just minutes way from the 15 and 215 freeway which makes this the perfect home for commuters! Definitely a must see! Charming single story home in Menifee. This home sits on a corner lot. It features 3 bedrooms and 2 bathrooms, there is hardwood flooring throughout the main living space and carpet in the bedrooms. It has just received a fresh coat of paint on the outside with a new garage door. It comes with solar to help reduce your monthly electric bills. Close to the 215 FWY and 15 FWY for an easy access for commuting. Welcome to this charming 2 story, 3 bed, 2.5 bath home in Roripaugh Hills! Through the upgraded front door, you will see the owners truly made this home their own with custom light fixtures, paint and flooring throughout AND whole house fan! As you enter, there is a stairway on your right giving immediate access to 2nd floor. Downstairs is the living and dining room, kitchen, master bed, bath and half bathroom. The dining room offers natural light and family room boasts vaulted ceilings and fireplace with custom tile and smoked glass backsplash and vinyl sliding door leads to the intimate backyard featuring custom stamped concrete, wide covered patio, mature bamboo and rock scape. The remodeled kitchen has recessed cans, white cabinetry, farmers sink, granite countertops and breakfast nook. The master suite offers vaulted ceilings and en-suite has new flooring, mirror, countertops, cabinetry, hardware…and large walk-in closet! The half bath was remodeled with bronze sink/faucet and fabulous barn door entry your guests will love! Upstairs offers hallway cabinetry, 2nd and 3rd bedrooms and 2nd full bathroom that has also been remodeled! The 3rd bedroom has window seat and large walk-in room that could easily be an office, bedroom, play room…the list is endless! This family friendly community offers a pool, spa and tennis courts in the heart of Temecula, with close proximity to schools, shopping, Promenade Mall and I-15 freeway. Do not miss this home! Low taxes! Low HOAs! Wonderful single story home! Price reduced! High vaulted ceilings allow so much natural sunlight into the home. Enter into the large living room and dining room. House has an open floor plan. The family room is large with laminate flooring, fireplace with wood mantel. Kitchen has a large island for plenty of work space! Master bedroom has double door entry. Master bath has dual sinks with separate tub and shower. Home was just painted inside in neutral color. Fourth bedroom has a double door entry as well as an additional door to the hall as is currently being used as an office. Easy maintenance front and backyard. Alumawood sold covered patio cover with ambient lighting keeps the rain away from the door to the outside living area. Additional retaining wall is great for get togethers for extra seating! Wide side yard gives more space between homes and is cemented. Low assessments and Temecula Unified School District. Welcome home to 25229 Shadescale Drive, a beautiful 1,493 square foot single story boasting 4 bedrooms, 2 bathrooms and 3 car garage in the heart of Murrieta! This home has incredible curbside appeal with a grassy front lawn, beautiful rose garden and large 8,712 square foot lot! As you enter, you walk into the open living and dining room featuring hardwood floors and lots of natural light. In the main family room, you will find a charming brick fireplace and tiled kitchen. The kitchen features stainless steel appliances, granite countertops, rich brown cabinetry and sliding glass door access to the private, pool sized backyard. Inside, you will find 3 nice sized guest bedrooms with closets (optional office), 1 full guest bathroom with granite countertops and hallway storage. The large master bedroom features a tiled en-suite and walk-in closet. You can do AMAZING things with this backyard! On the left side of the home is a large dog run and on the right, there is plenty of room to build your dream pool or RV parking! This home is located in the distinguished Murrieta School District within walking distance to Alta Murrieta Elementary School. Conveniently located to lots of shopping, Los Alamos Skate Park, Rancho Springs Medical Center and the I-15 and I-215 freeways. This home will not last long! Must see in person to appreciate everything this home has to offer! NO HOA/MELLO-ROOS & LOW TAXES! Welcome Home to Canyon Lake! A 24 hour Guard Gated and Beautifully updated single story home offering Resort Style living! This spacious and warm home is light and bright and features 3 bedrooms, 2 baths, fireplace and covered patio and 2 car attached garage. The Master Suite has dual closets, ceiling fan and sliding glass door to the backyard. The gated community has over 15 parks, private lake with boat docs, Tennis Courts, Pool, 5 Star Restaurant, Golf Course, Equestrian Center, Lodge and many other amenities including RV parking. SELLER SAID, "LET'S GET IT SOLD!!! LOW TAXES/ CENTRAL LOCATION! 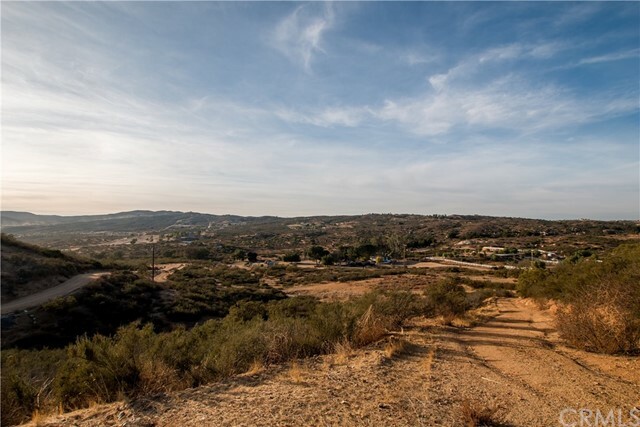 Beautiful Central Murrieta home offering 4 bedrooms, 3 bathrooms, a 2-car garage, a water osmosis system, plus beautiful views. As you make your way inside, high ceiling, wood laminate flooring, and an abundance of natural light sets the tone for the beautiful home within. Off the main entryway you will find the family room, which features high ceilings, flows to the dining area, and offers access to the spacious backyard via the sliding glass door. The backyard is the perfect space to relax or entertain offering a covered patio, a large grassy area, lush landscaping, and beautiful mountain views!Stepping back inside, the open kitchen features a ton of cabinet space, ample counter top workspace, and opens to the sitting room, which is highlighted by a brick accented fireplace and sliding glass door access to the side yard. Down the hallway, off the sitting room is a powder bathroom and access to the spacious 2-car garage. Making your way up to the second floor you will discover two spacious secondary rooms, a secondary bathroom with a shower tub combination, and the Master Suite, which features an attached bathroom with dual vanities, a separate shower and tub area, plus a walk-in closet. Located in Central Murrieta, close to shopping, dining, and Distinguished Murrieta schools, this is a home that you don’t want to miss!! Schedule your private tour today!! Fall in love with this 3 bedroom, 2 bathroom, 2 car garage single story home located in the heart of Murrieta! This 1,428 square foot GEM has been meticulously cared for by one owner since it was built. The oversized lot is 9,148 square feet and showcases beautiful landscaping, mature orange, lemon and grapefruit trees with shed. The home features a beautiful double door entry leading to a carpeted open family room with fireplace and formal dining area filled with lots of natural light. On the opposite side of the fireplace, you will find a large open area perfect for informal dining featuring patio access and beautiful, hardwood floors. The kitchen features great cabinetry, breakfast bar, and over the sink window with built-in shelving—it gives an amazing view of the backyard! On the left side of the home, you will find the laundry room, guest bedroom and bathroom. In the middle is the second guest bedroom or office, featuring built-in shelving. The hallway features fantastic storage and leads to the master bedroom, with a double door entry, his and her mirrored closets, private patio access and en-suite with a custom tile/glass shower. The private backyard is perfect for entertaining with its large patio and pergola to keep you cool on those hot summer days! This home is located in the great Murrieta School District and close to the famous Cal Oaks Sports Park, multiple shopping centers and both the 15 & 215 freeways. There is NO HOA and LOW TAXES! Don’t miss it! Honey, Stop The Car!! Your search for a beautiful home in South Temecula has arrived!!! From the moment you walk in the door, you will feel warm and welcomed into this great home. The kitchen features tile counters, newer black stove and refrigerator and a great garden window that lets in lots of natural lighting to enjoy while you are preparing your delicious meal . The formal living room features a fireplace with a custom mantel and french doors that open out on to the backyard patio. The formal dining room with crown molding is conveniently located just off the kitchen. A separate family room is just off the kitchen and offers french doors that open out onto a covered patio. There are ceiling fans in each of the downstairs areas. The large master bedroom offers a great view of the local mountains. A generous sized backyard offers a wonderful spot to sit and enjoy Temecula's pleasant weather. A new HVAC unit keeps the temperature cool in the summer and warm in the winter. With no HOA and located just minutes away from shopping, dining, entertainment, Temecula Creek Golf Course, Wine Country, I15 Freeway and within the Great Oak School boundaries, this home is a must see!!! Welcome home to this beautiful, NEWLY REMODELED 1,304 sq. ft. single story located in a quiet, family friendly neighborhood in the heart of Murrieta! It is the perfect place to call home! This 3 bedroom, 2 bathroom charmer boasts incredible natural light, new laminate hardwood floors, new carpet, new modern tile and new gray interior paint throughout. When you enter, you can’t help but fall in love with the large open living area with adjoined dining room. The inviting living room is perfect for relaxing with friends and family with an oversized wood mantle and tiled gas fireplace. The kitchen has been updated with new stainless steel appliances, new hardware, new granite countertops and newly painted white cabinetry. As you walk through the home you will see new fans, light fixtures, mirrored closet doors and new granite countertops in each bathroom. Another must-see feature of this home is the custom glass shower in the Master. This home also offers ample storage with hallway storage, large hallway coat closet, enormous walk-in master closet and 2 car garage with built-in shelving. The low-maintenance back yard is fantastic for that end-of-summer BBQ and offers a combination of patio and yard with new iron fence and large shed. Hurry before this home is gone! Located in the Murrieta School District with close proximity to Cal Oaks Sports Park, shopping and both the 15 & 215 freeways. NO HOA! LOW TAXES! Wonderful single story home with a 3 car garage! Located on a corner in the Menifee Hills community next to Audie Murphy. This three bedrooms two bath home has high ceilings throughout. Large living and dining area with gas fireplace. Spacious kitchen offer lots of counter space and large island! Granite counters with a deep sink basin and upgraded fixtures. Newer upgraded Stainless appliances. Master is on the opposite side of home away from the two other bedrooms and bath. The secondary rooms are large. Master bath has dual sinks and separate tub and shower with a walk in closet. Cool Quiet Fan! A/C was replaced last year and new water heater! This one will not last. Welcome home! This adorable single story Alta Murrieta home is ready for you to make it your own! As you enter you are greeted by neutral paint colors throughout. Entry leads into the spacious family room which is appointed with a cozy fireplace and newer upgraded light fixtures. The living area is large enough that you can have a formal dining area as well. Family room is located directly off of the kitchen, which makes this home perfect for entertaining. Kitchen features wood flooring and has the perfect kitchen nook area and space for additional storage or buffet. Kitchen has direct access to the backyard patio, which provides the perfect setup for those Saturday afternoon barbecues! The spacious back yard provides plenty of privacy and is ready for you to make it your own! Spacious Master bedroom features two closets with shelving and mirrored closet doors. Potential for RV parking! Bath features dual sinks, and separate shower area. Both secondary bedrooms are spacious and are close to the second full bathroom. LOW taxes and NO HOA! Come see it today! HUGE PRICE REDUCTION! This cute beautifully well maintained 3 bedroom, 2 bath single story home is located on a cul-de-sac in the San Marino neighborhood. It features granite counter tops, upgraded kitchen cabinets with black appliances and upgraded flooring in the living area. The back yard is large, perfect for entertaining and with no back neighbors. The neighborhood has a local community park and is close to the new shopping centers, restaurants, hospital and freeway for easy commuting. Welcome to 24959 Rhine a former model home with a Pool! This home is amazing and has many upgrades and features. Perfect for a family or entertainer! It boasts over 2,500 sq ft with 4 bedrooms and 3 bathrooms. As you enter, you are taken back by the big living room and beautiful wood flooring. Around the corner is the kitchen, family room and downstairs bedroom/bathroom. As you head upstairs you cant help but noticing the wood stairs and the really big loft! The master has double doors that open into a huge bedroom with great views, large attached bathroom and 2 walk in closets. Down the hall you will find 2 more big bedrooms, bathroom and upstairs laundry room. Some of this homes amenities are Salt Water pool and jacuzzi, water softener, workshop, shed, entertainers backyard, upgraded windows and shutters, whole house fan, 3 car garage, leased solar (low payment) and so much more! Make your appointment today! PRICE REDUCED FOR QUICK SALE! Charming Single Story Home on a Cul-de-sac! Open Floor Plan; Enter this 3 Bedroom, 2 upgraded Bath Home featuring Living Room, Family Room with fireplace, upgraded chef's Kitchen with granite counters, stainless steel appliances, island with breakfast bar for informal eating and extra cabinet space plus Dining Area. Master Bedroom and Family Room with duel pane sliding glass doors leading to spacious covered patio. Duel pane windows, plantation shutters, ceiling fans, 2 car direct access Garage with roll up door, central heating and air conditioning. Large fenced yard with sprinkler system is ready for your outdoor design. Interior and exterior paint in the last few years. Within the last 8 month's replaced existing flooring with upgraded engineered laminate flooring, upgraded under lament plus new wide base boards. 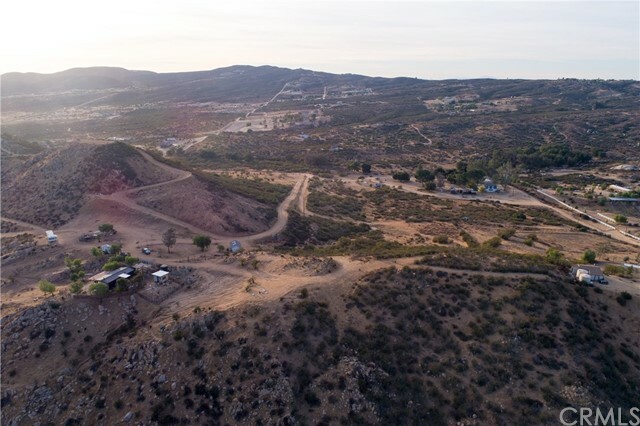 Property is near Summer Lake Park, Lake Elsinore Schools, Shopping, Restaurants and outdoor fun on the Lake! BACK ON THE MARKET BUYER COULDN'T PERFORM! Welcome to this beautiful 3 bedroom, 3 bathroom charmer in the popular complex of Arboretum Way! This 3 story condo is 1896 sq. ft. with a 2 car garage. A corner unit with a FANTASTIC VIEW OF THE MOUNTAIN RANGE, it boasts an OPEN CONCEPT FLOORPLAN and lots of natural light. Upon entering you find a formal living room with fireplace to your left and family room to your right. Continuing to the kitchen area, is another family room with built-in entertainment center and adjoining dining room. The remodeled kitchen features new tile flooring, new stainless steel sink and fixtures, new countertops, new microwave, and custom travertine backsplash. You will also find a spacious half bath and laundry room, with plenty of space for a full size washer and dryer and cabinetry for storage. Upstairs is the Master suite, large garden tub, dual vanity and upgraded tile flooring, second and third bedrooms and adjoining guest bathroom upgraded with new tile flooring, sink hardware, vanity lights and shower head/faucet. Continuing to the 3rd floor, the perfect space for a loft, playroom, optional 4th bedroom or private in-home office. This space also has built-in cabinetry to accommodate any living arrangement. This community is perfect for professionals and families. It is located within the distinguished Murrieta School District and is in close proximity to the community pool, Promenade Mall and both the 15 & 215 freeways. You must see this home in person to truly appreciate it! This beautiful single family home in Menifee boasts an open floor plan with high ceilings, giving the home a large, warm feel. The large master bedroom and the other two bedrooms complete this turnkey home, along with an elegant kitchen, perfect for hosting family dinners. This gorgeous home has freshly installed grass in the front yard, and is walking distance to Chester W Morrison Elementary School and local parks, while also being conveniently located near the 215 freeway. See this marvelous home for yourself! Welcome to this charming 1,824 sq. ft. single story with 3 BD, 2 BA and 2 car garage with extra storage. Whether a small family, young professional or retired couple, this is the perfect place to call home! This home sits on a large 8,276 sq. ft. lot with a beautiful rose garden and concrete RV parking. You are embraced by a large, warm entryway with a view of the formal living room and lots of natural light. To the left, is the open concept kitchen and living room featuring an impressive custom travertine fireplace. The kitchen has been updated with beautiful granite countertops, stainless steel appliances, vaulted recessed lighting and fantastic walk-in pantry. Plantation shutters give you light or privacy. Over the kitchen sink you are able to see into the lovely formal dining room, which boasts full French doors for easy patio access. The hallway offers large built-in cabinetry for additional storage. Each large bedroom has new Berber carpet and updated door hardware and fans throughout. The master retreat has its own private patio access, large walk-in closet and custom marble bathroom with updated flooring and spacious walk-in frameless glass shower. This enchanting home is bursting with character and must be seen in person to appreciate! It has been well cared for and is ready for you! 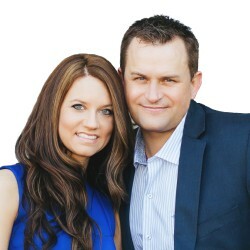 Located close to the 215 and 15 freeways in the Menifee School District. No HOA! Low taxes! Act now as this home is priced to sell and located in a highly desirable neighborhood! Active adult living at it's best! Resort-like Community in Solera Diamond Valley by Del Webb. Turnkey 2 Bedrooms + Bonus Room, Double Doors (used as office with Built-In Cabinetry), Custom Solid Mohogany Leaded Glass-Front Door, Private Iron Gate, 10-Foot Ceilings with Crown Molding throughout, Master Suite with walk-in closet, occupancy sensor lighting in closet, bathrooms & office! Granite Counter Tops in Kitchen, Kitchen Island, Breakfast Nook, Individual Laundry Room with access to Garage, extra big Garage of 527 sq ft with storage cabinets. 30 Solar Panels all paid for buyer enjoys the savings! Whole house water softener! 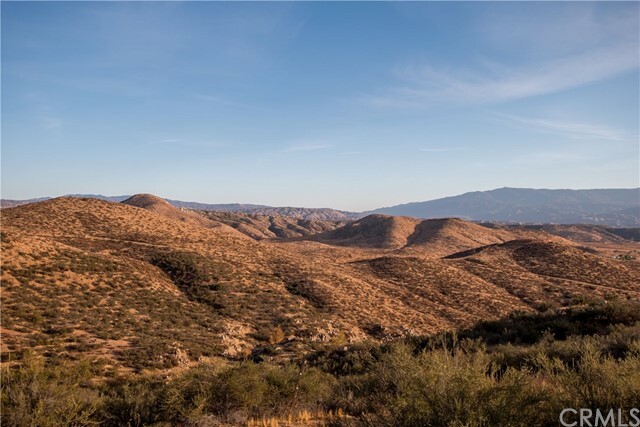 Solera Diamond Valley is a very active community that offers many, many things to do they have a wide range of activities, events & educational programs for it's residents. There are exercise classes, Holiday home-tours within it's residents, movie nights, Seasonal events to join, trips to sign up, Pickleball to learn/play, Yoga & Tai Chi classes, water aerobics, 3 pools (1 indoor & 2 outdoor), BBQ's to attend... Tennis courts to play, Billiard Room, Clubhouse, Gym, Card Room! Must visit to appreciate! Absolutely stunning Seven hills senior community home offers so much! Upgrades everywhere! A lovely entrance invites you in and will have your guest saying WOW! A formal living and dining room will sure please with high ceilings, wood shutters, natural lighting and built in's. Head into the family room where a cozy fireplace sets the mood of pure relaxation. Crown molding and upgraded carpet throughout. A beautiful kitchen completes the look with eye catching granite, back splash, large island, sturdy appliances with 4 burner gas range, breakfast niche and wood laminate flooring. Over sized rooms will sure please. Large master offer's plenty of storage in closets/ his and hers and bathroom. Master bath offers tub, shower, 2 sinks and a vanity. End the night in your very own personal spa located in your back yard with covered patio and fan. True bliss! Relax you are home! Laundry area includes a sink. Open floor plan with lovely arches throughout! Easy maintenance landscape. 2 car garage. Association pool, clubhouse, fitness center, library, billboards, ball room, shuffle board and a ball room. Life is great, come, live and enjoy. Play daily on the Seven Hills Golf Course too! Welcome home to this beauty! Charming single story home on a large lot in one of the most desirable family neighborhoods in Sun City. Tons of upgrades including tile and wood laminate throughout the common areas. Guests are greeted by the welcoming porch and the gorgeous entry way which open up to the cozy family room and elegant formal dining area. This leads to the Huge light filled great room which includes the large family room, huge upgraded kitchen and slider to the patio and pool sized backyard. The spacious well-appointed kitchen is upgraded with expansive granite counters and ample dark espresso bean cabinetry. Has newer gas range and matching appliances. There are lots of windows for plenty of light. The enormous backyard is complete with turf, hardscaping, a huge patio with a light and fan fixture. There are multiple trees loaded with fruit. The extra wide side yards are perfect for a dog run. And the low maintenance front yard is picture perfect with its drought tolerance desertscape scene. The good-sized bedrooms are updated with new premium carpeting and the master suite has a chic tiled walk-in shower with upgraded fixtures and dark wood cabinets. The secondary bath is upgraded with granite counters and has espresso bean cabinets. There is no HOA and very low taxes. This well situated neighborhood is just blocks from shopping and restaurants. And conveniently located only minutes away from schools and freeway. UPGRADED AND REMODELED HOME IN THE FARM. READY FOR YOU TO CREATE THE OUTDOOR LIVING SPACE OF YOUR DREAMS! PRICED UNDER MARKET, SELLER OFFERING $5000 Landscaping credit at closing! This adorable home features three bedrooms, 2 baths and large lot. Upgraded with brand new laminate flooring throughout, new paint, granite counters, and a fresh faced kitchen. The property welcomes you as you walk into an open plan greeted into a large living room facing the upgraded kitchen boasting upgraded brushed-metal matching appliances. Off the kitchen is the laundry room and large family room boasting a wood burning fireplace, and large windows which allow tons of natural light. As you walk off the family room there are two secondary bedrooms and bath with standing shower. Across the home the master bedroom features a walk -in closet and master bath boasting a shower tub combo and another large closet. The home is on a permanent foundation, features a new fence and is ready for the new owner to bring their dream landscaping ideas with them! The yard has been graded to a tiered yard (2 step terrace), with either an extra long driveway option or RV parking. 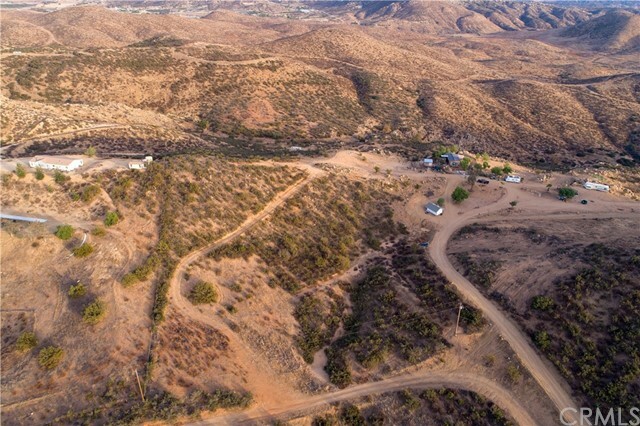 The Farm features 600 Acres Common Area, 38 Acres of Citrus Groves, Amphitheater, 3 Pools, 2 Spas, Main Pond (Catch & Release), Baseball/Soccer Field, Basketball Court, Tennis Court, 2 RV Storage Areas, Hiking Trails, Picnic Area. Close to shopping and a mile from 215 & 15 freeways, this is a home you don't want to miss! This single story home is nestled on a quiet street with a RV parking, solar system and large yard! This adorable 3 bedroom, 1 1/2 baths home offers an open floor plan and tons of natural light. The spacious kitchen is equipped with new cabinetry, stainless steel appliances and an abundance of counter space. The kitchen is also equipped with a built-in desk, which makes it the perfect place for the kids to sit and do their homework. The living room is warm and inviting with large picture windows, plantation shutters, and crown molding. Off the living room is your master suite with custom paint, plantation shutters, and chair railing. Just off the master is a powder room with pedestal sink, wainscoting and extra storage. On the other wing of the home sits two additional bedrooms and full bathroom complete with custom tile flooring wainscoting, and ball and claw tub for that touch of elegance. Step outside to your backyard with the covered patio and ceiling fans. Home is within walking distance to shopping and restaurants and is just minutes from the 60 freeway which makes this the perfect home for commuters! Definitely a must see! BACK ON THE MARKET!!! Newer manufactured home built in 2007 located in the city of Wildomar. This manufactured home on permanent foundation has 3 bedrooms, 2 bathrooms and 1,456 square feet on a 7,405 square foot lot! Great floor plan that includes a formal living, dining room, open kitchen space, indoor laundry room and computer area that can be used as an open office area or homework station. Good sized yard with a fruit tree and shed. Conveniently located off a main road in a private cul-de-sac and close to local schools, shopping, freeways and Ortega Highway. In a low tax area and no HOA. EXCELLENT LOCATION! NEWLY RENOVATED! FAMILY FRIENDLY! Welcome to this charming turn-key home in the heart of South Temecula in the gated community of Temecula Creek Village! This 1,101 square foot 2 bedroom, 2 bath condo is located on the first floor overlooking the greenbelt and pool/spa. Updated with new two-tone paint, carpet and flooring, this condo features high ceilings and open concept living and dining area wonderful for entertaining! Both large bedrooms open onto an oversized private patio through a single french door. The master bedroom has a perfect walk-in closet and the rest of the condo features additional cabinetry and linen closet for easy storage, including an exterior storage unit outside the front door. The kitchen includes newly painted white cabinetry, long breakfast bar, refrigerator, stove, microwave, and dishwasher. The indoor utility closet includes a full-size washer and dryer for ease and convenience! Parking for this home is located right outside the entrance in carport #230. This upscale development offers fantastic amenities inlcuding a club house, pool and spa, sauna, gym, indoor racquetball courts, and popular children's playground, and is nestled in the prestigious Temecula Valley School District, walking distance to shopping, fine dining, entertainment, and Temecula Valley Hospital. Within 5 miles you have award winning Temecula wineries, Pechanga Casino, and Old Town Temecula within 5 miles. No FHA/VA loans. LOW HOAs! NO MELLO-ROOS! Your little piece of paradise awaits you! 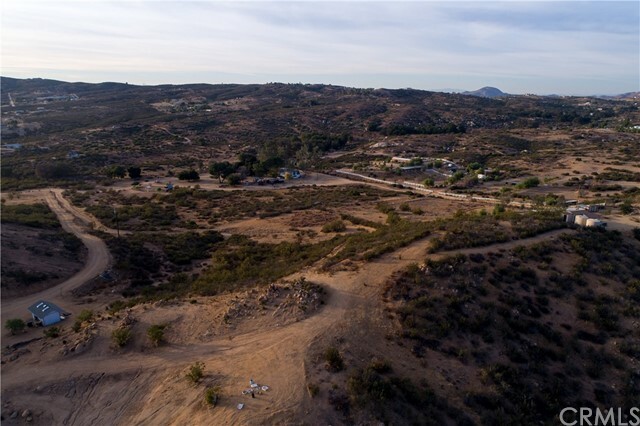 Located in Perris, this 2.17 acre parcel has been professionally graded into two flat areas, which could both hold a home. Oak trees have been planted around the flat lots in preparation and the view is breath taking! You can see Lake Matthews, mountains, and hills and the peace and quiet will soothe anyone! The back side of the property rolls down and then back up to the back of the property line. The property has scattered huge rocks, which give the property charm and character. The land has easy access to water, power and cable, but will need to be on a septic system. The land was perk tested years ago, but will need to be again before building. 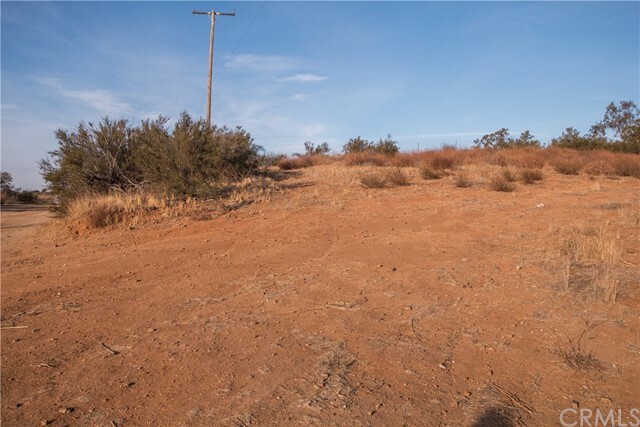 The cleared and clean land is just waiting to be made into a home, ranch, farm or whatever you can imagine! The possibilities are endless! You will NOT find a better lot to build on! You have to see this to truly enjoy the natural beauty, picturesque views and raw potential! Priced to sell, so come see it now! Welcome to the most beautiful home in Lancaster! Completely remodeled with all the touches, everything is brand new! This 2 bedroom, 1 bath, home featuring a 2 car attached garage, greets you as you walk up with Chinese Elm tress, new drought tolerant landscape, and freshly painted exterior. As you enter the upgraded home you are greeted by new wood laminate flooring throughout leading the way through the great room, boasting an original brick wall and tons of natural light and new ceiling fan. The kitchen features new stone backsplash, new countertops, new cabinetry, brand new range and dishwasher. The kitchen offers the opportunity to build your dream kitchen layout. The two large bedrooms have upgraded carpet, new ceiling fans, and new window coverings. The bath is upgraded with stone backsplash, new modern mirror with beauty light, new vanity, and resurfaced tub shower combo. The property also features a 400 sqft sunroom that's fully carpeted, offers lots of natural sunlight and a separate room great for an office or additional bedroom. The large yard is perfect for entertaining and has no rear neighbors! Located within a mile from El Dorado Elementary school and park, Piute MS, and Antelope Valley HS. This is a home you don't want to miss! 55 and BETTER COMMUNITY!!! Welcome Home to 28115 Grosse Point Drive!! A cozy front patio with a designated seating area and garden space welcome you as you enter this beautiful home. Newly Renovated, this home features: Wood laminate flooring, high baseboards, new carpet, and fresh paint throughout! The functional kitchen offers a walk-in pantry, ample counter-top prep space, a large window that overlooks the front patio, and an eat-up counter island. A breakfast nook is located off the kitchen and grants access to the spacious laundry room and access to the attached 2-car garage plus features sliding glass door access to the front patio, great for indoor/outdoor entertaining. The dining room and family room are highlighted by an abundance of natural light and open to the spacious den which offers sliding glass door access to the backyard featuring a covered patio, and a large shade tree. Down the hallway the spacious master suite offers a large window overlooking the backyard, two walk-in closets, and the attached master bathroom with a walk-in shower. Across the hall is the detached secondary bathroom with a shower/tub combination and the second bedroom appointed by a roomy wall closet and a large window overlooking the front yard. Located in the Sun City Community offering it's residents a community rec. center complete with a pool, clubhouse, games, get-togethers and more…plus close to shopping, dining, entertainment, ….this is a home that you don’t want to miss. Precious single story home located in a small lovely community in San Jacinto. Cute, clean, spacious 1434 Square feet with 2 generous size bedrooms and 2 baths. Additional 3rd bedroom has doors and closet space-could be a 3rd bedroom. New carpet, rich wood laminate flooring. Cool ceiling fans, central heat and air. Cozy gas fireplace. Some window coverings. Cooks kitchen, all white appliances, classy granite. Indoor laundry. 2 car attached garage with epoxied floor. Neat little backyard. Excellent locations. A true must see standard sale. Welcome home to 26360 Harrisburg Drive!! As you enter you will be welcomed by the front sitting room, which overlooks the front yard and offers an abundance of natural light. The chef’s kitchen offers a vast amount of counter and cabinet space, and conveniently offers an eat-up bar and flows to the family room and dining area which are highlighted by numerous windows looking onto the backyard. Off the dining area you will discover a bonus room which is perfect for a craft area or a separate den and offers access to the perfectly manicured backyard, highlighted by a covered patio and planter beds. Stepping back inside, a single vanity bathroom and two bedrooms are located down the hallway. The first spacious bedroom is appointed with a HUGE walk-in closet and overlooks the front yard, and the second is the oversized Master Suite offering an attached single vanity bathroom, a large walk closet with mirrored doors, and a separate vanity area with seating. Conveniently located in the 55+community of Sun City, offering it’s residents a community rec. center complete with a pool, clubhouse, games, get-togethers and more…plus close to shopping, dining, entertainment, ….this is a home that you don’t want to miss. PRICE REDUCED ON THIS BRAND SPANKING NEW BEAUTIFUL HOME! Not all too often is there an opportunity like this; 2018 Manufactured Home on a Permanent Foundation with 3 bedrooms, over 1600 square feet in the age qualified area of North Sierra Dawn. Seller spared no expense with this new purchase; Mini Blinds all throughout, energy efficient Whirlpool white Kitchen appliances, ceiling fans, upgraded carpet and there is even an upgraded roof! The kitchen is huge with ample cabinetry and counter space with plenty of natural light. The bathrooms are literally sparkling with the shine because of the newness! You will want to jump right into to take a bath in the never used Soaker Tub. Outside is an all new driveway, covered patio, easy care landscape, new fence and an adjoining oversize shed on the carport side. You'll appreciate the low taxes, low HOA and the $5000 the Seller is offering the Buyer for their closing costs. Don't let this one pass you by, as there is never going to be an opportunity like this any time again soon. Welcome home to 625 Parkview Dr. This upgraded condo features two bedrooms, one bath and a private patio. As you enter the home you are greeted by wood laminate flooring throughout which leads the way into a beautiful kitchen boasting granite counters, stainless steel appliances and refrigerator, with washer and dryer hookups if desired inside. The home is an open concept with a large great room including a fireplace for cold nights and sliding glass window leading to your own fenced in patio. The master bedroom is located at the bottom level of the unit with an attached bath featuring upgraded granite counters, tub-shower combo, two closets, and a sliding glass door connected to the private patio. The second story bedroom can be a private room or loft and features wood laminate flooring, ceiling fan and closet. This property has an attached single car garage, with washer/dryer hookups and a single assigned carport, with lots of street parking for guests. Located in the desirable Park View Villas, close to shopping, Lakeside High School, and within walking distance to the famous Lake Elsinore lake and boat launches, this is a home you don't want to miss!!!! Great manufactured home on a permanent foundation offers 3 bedrooms and 2 baths. It shows as a 2 bedroom but they added an additional bedroom. Laminate flooring. Shiplap wall in the living room. Enjoy cooking in the upgraded kitchen that is light and bright with plenty of cabinet and counter space. Dining room has access to the backyard patio. The Master bedroom is large and has its own spacious private bath with storage. This home doesn't lack for space with a large mud room/laundry room with a workstation and lots of cabinets. Enjoy your backyard with a covered patio that extends the length of the home. Bring your outdoor chairs to sit around the firepit. Fruit trees as well as additional sheds on the property to hold on your outdoor toys. The carport area could be turned into a garage. Plenty of parking and located at the end of the cul-de-sac. Great location for this one! 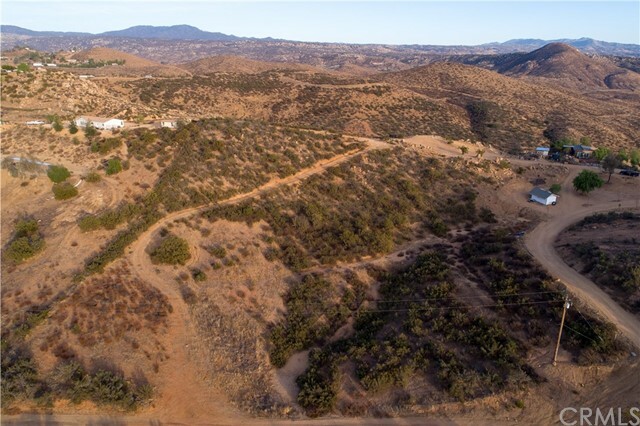 This great parcel of land is situated on top of a nice hillside with great views of the valley below and the mountains in the distance. 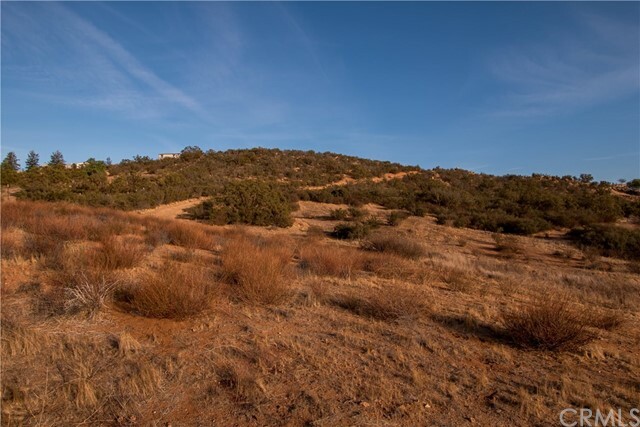 With flat land and rolling hills this could be the perfect property for your dream home! Motivated Seller! Must See! Fully remodeled and updated interior. This cute home located in the desirable Valle Vista community of East Hemet. Large land lot with plenty of potential. Brand new Central Air Conditioner installed in 2017 to keep you cool. Interior of the home has been updated with drywall throughout, nice laminate flooring, and nice, good-sized kitchen. Dining room has a cute breakfast bar. There is plenty of space for entertaining in the living room. There is a spot for covered parking under the carport/patio cover. The lot space has unlimited potential to turn this yard into whatever you desire. Lot includes RV Parking space and RV hookups! Property also includes a very large wood storage/work shed. Property is fully fenced with wood fencing and chain link. Foundation has been updated with earthquake bracing for more security. This home is ready to move in or rent out. Special financing available. 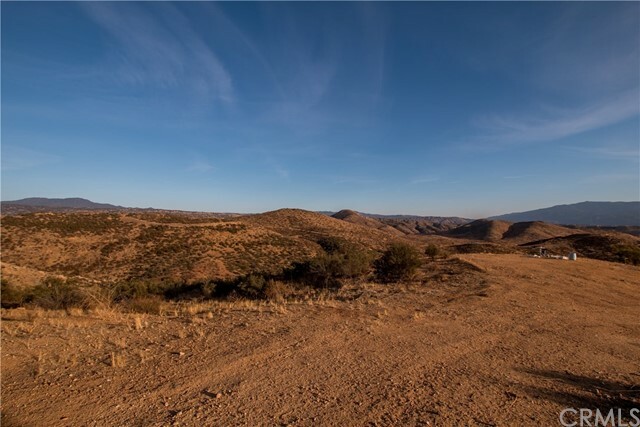 Beautiful 2.11 Acre lot on the west side of Anza. This lots sits close to paved road for easy commuting. 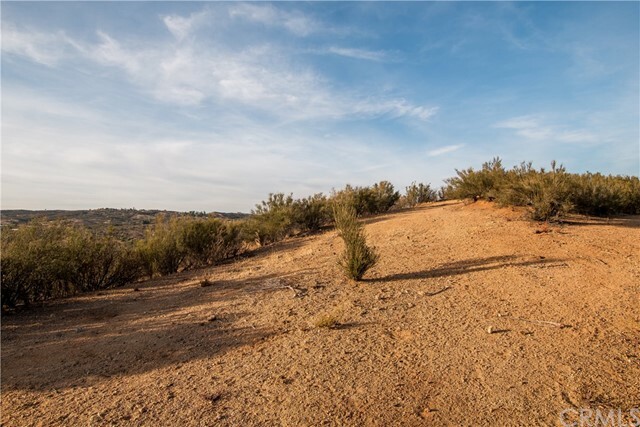 The lot has a gentle slope with wonderful views in all directions from the top. 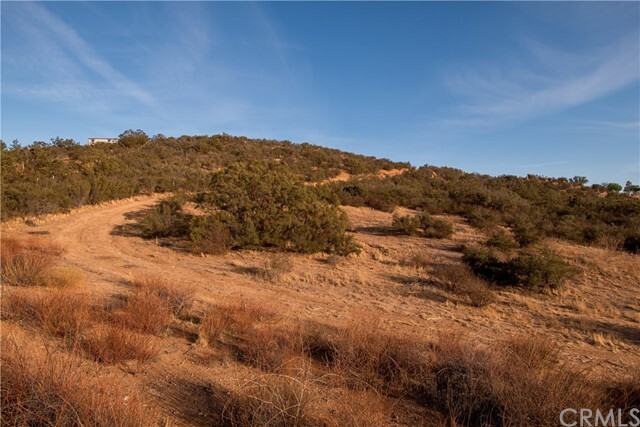 The lot has native brush throughout very secluded but yet very close to town, Anza is 45 min. to Temecula wine country or Palm Desert. What A Beauty! This 2 bedroom 2 bath home features a great entry way with a beautiful front door, huge open spacious living room and a formal dining room with built in hutch. Great layout for the kitchen with plenty of counter space, plenty of cabinets and a cute breakfast bar. The master bedroom is good size with plenty of closet space. and has a huge adjoining master bathroom with dual sinks tub / shower combo and more closets. The laundry room is indoors and also features a built in desk area. Outside you'll find 3 storage sheds with electricity and plenty of shade under the completely covered 2 car carport! The front porch is quaint and cozy and extends the length of the house. Other features are ceiling fans, newer laminated wood flooring, carpet in fantastic condition, Roof replaced in 2017, exterior painted in 2016, newer water heater copper plumbing and so much more....Oh and did I mention YOU Own The Land! Why pay space rent when you can OWN THE LAND?!! Welcome home to 500 Santa Clara Circle!! This double-wide, manufactured home in the Sierra Dawn Estates, a 55+ community, is the perfect home for you!! As you enter this spacious two bedroom, two bath home situated on a corner lot, you will be welcomed by a bright and airy family room that flows to the dining room and chefs kitchen. The kitchen is appointed with ample counter and cabinet space and is highlighted by newer appliances including: a built-in range, refrigerator, oven, and dishwasher and offers the added convenience of an entrance from the carport side into the kitchen. Down the hallway you will find the spacious secondary bedroom, the secondary bathroom offering a stand up shower and single vanity, plus the master bedroom offering a generously sized closet with mirrored doors, an attached full bathroom with a stand up shower, and access to the enclosed patio. The carport easily accommodates two vehicles and there is an enclosed side patio that can be accessed from the exterior or from the family room and offers great additional living space as well as washer and dryer hookups. The park amenities include: 5 swimming pools, 4 spas, 4 clubhouses, shuffleboard courts, billiard rooms and RV gated storage for $15 a month. This is a great home at a great price!! Don't let this opportunity pass you by!! Location, location, location!! Beautiful Central Murrieta home offering 4 bedrooms, 3 bathrooms, a 2-car garage, a water osmosis system, plus beautiful views. As you make your way inside, high ceiling, wood laminate flooring, and an abundance of natural light sets the tone for the beautiful home within. Off the main entryway you will find the family room, which features high ceilings, flows to the dining area, and offers access to the spacious backyard via the sliding glass door. The backyard is the perfect space to relax or entertain offering a covered patio, a large grassy area, lush landscaping, and beautiful mountain views!Stepping back inside, the open kitchen features a ton of cabinet space, ample counter top workspace, and opens to the sitting room, which is highlighted by a brick accented fireplace and sliding glass door access to the side yard. Down the hallway, off the sitting room is a powder bathroom and access to the spacious 2-car garage. Making your way up to the second floor you will discover two spacious secondary rooms, a secondary bathroom with a shower tub combination, and the Master Suite, which features an attached bathroom with dual vanities, a separate shower and tub area, plus a walk-in closet. Located in Central Murrieta, close to shopping, dining, and Distinguished Murrieta schools, this is a home that you don’t want to miss!! Schedule your private tour today!! SOLD!! This beautiful 2,224 sq. ft. single story located in the quiet, family friendly neighborhood of Murrieta Oaks in central Murrieta. This 4 bedroom, 2 bathroom charmer boasts incredible natural light, NEW paint, NEW carpet and large tile flooring throughout. Enter through the 9 ft. entryway, you will see this home has been loved and well maintained. The large open living and dining room are across the hall from the first bedroom. Continuing to the open concept kitchen, informal dining and family room. The kitchen features granite countertops, white cabinetry and oversized island. The family room boasts a lovely modern fireplace with immediate access to private backyard with no rear neighbors. The landscaped backyard has iron fencing, oversized patio, solid alumawood patio cover and incredible custom built Tuff Shed. On the opposite side of the home, is the full 2nd bathroom, full-size laundry room with built-in cabinetry, hallway with built-in linen storage as well as the 2nd and 3rd bedroom. The master suite features a double door entry, master bath with double vanity, shower and soaking tub and large walk-in closet. This home is located in the Murrieta School District with close proximity to multiple shopping centers, parks and great access to the 15 & 215 freeway. There is no HOA and low taxes! Must see to appreciate!